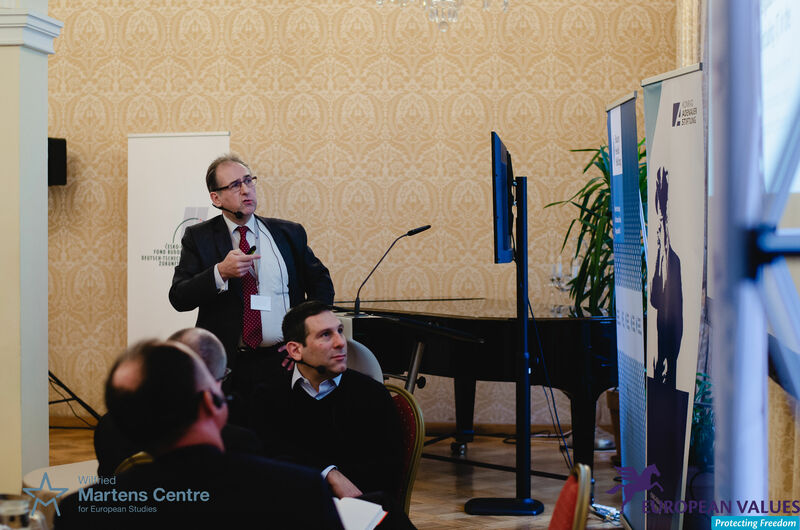 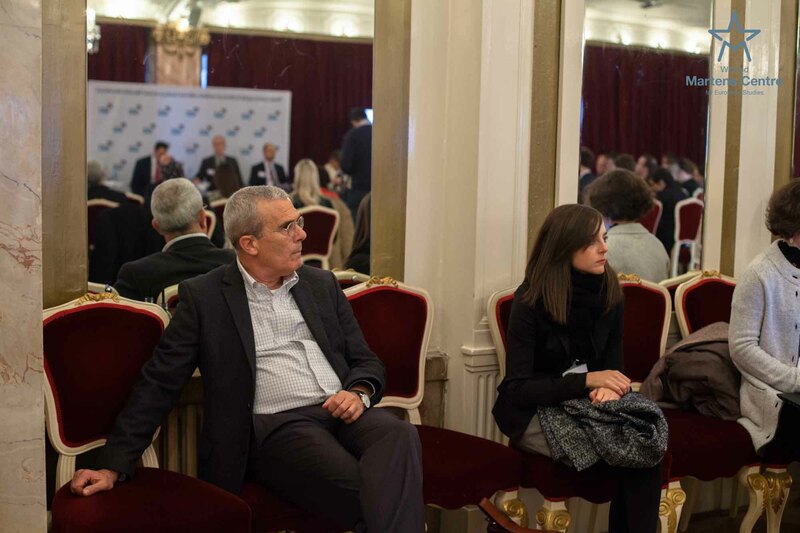 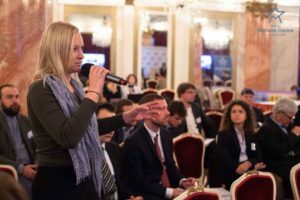 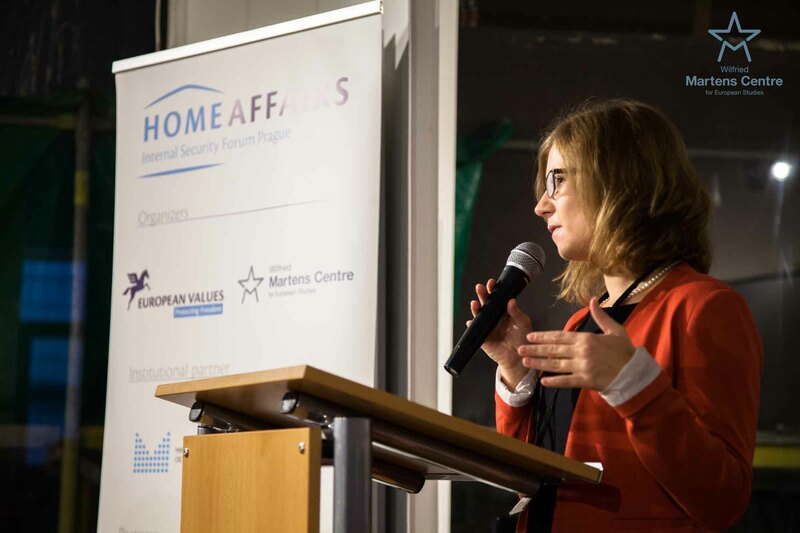 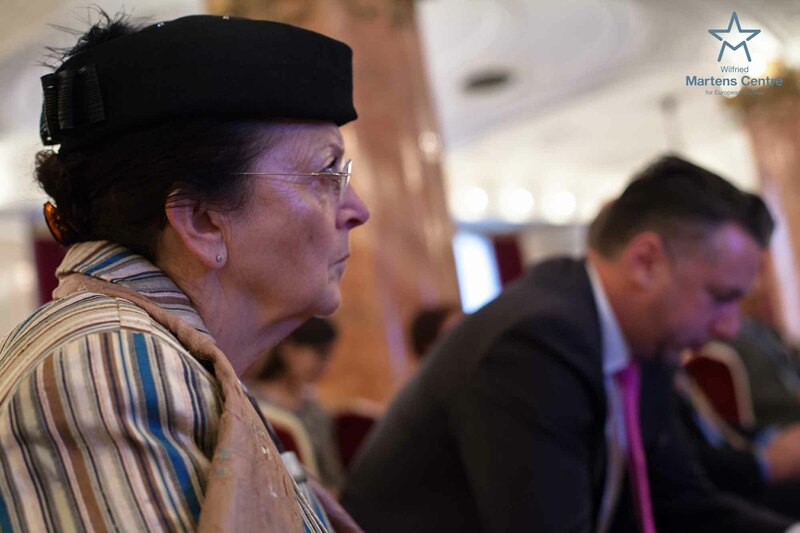 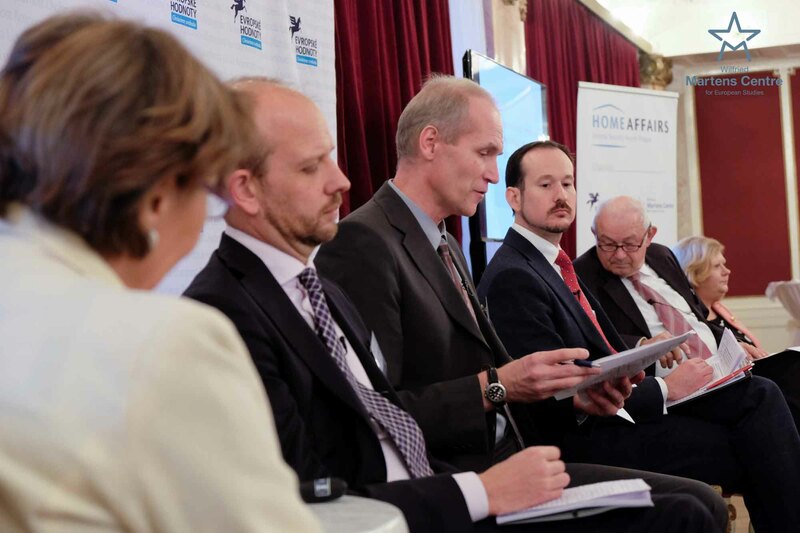 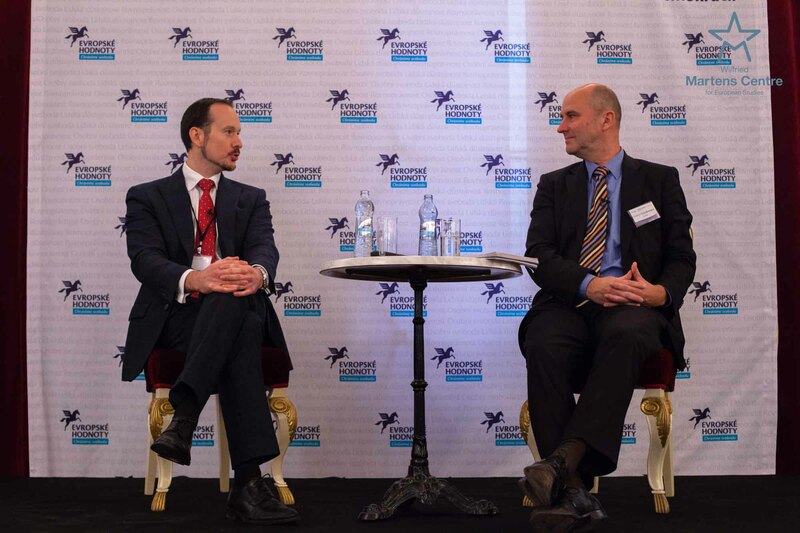 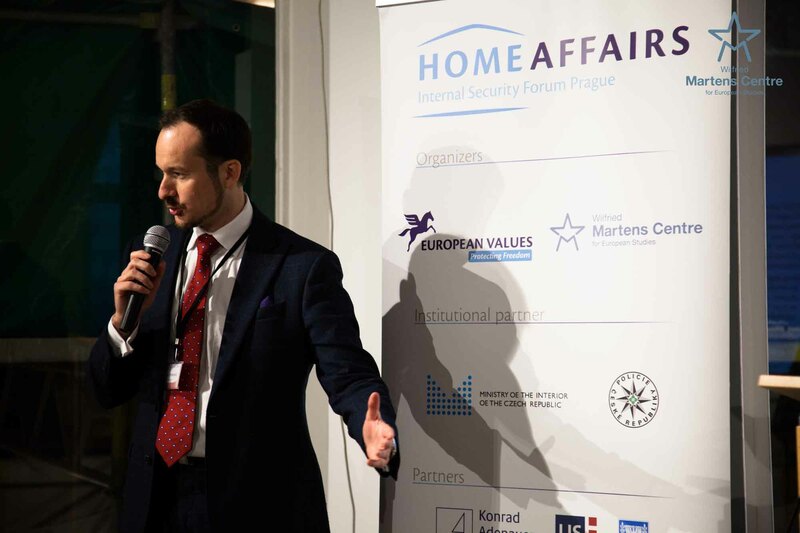 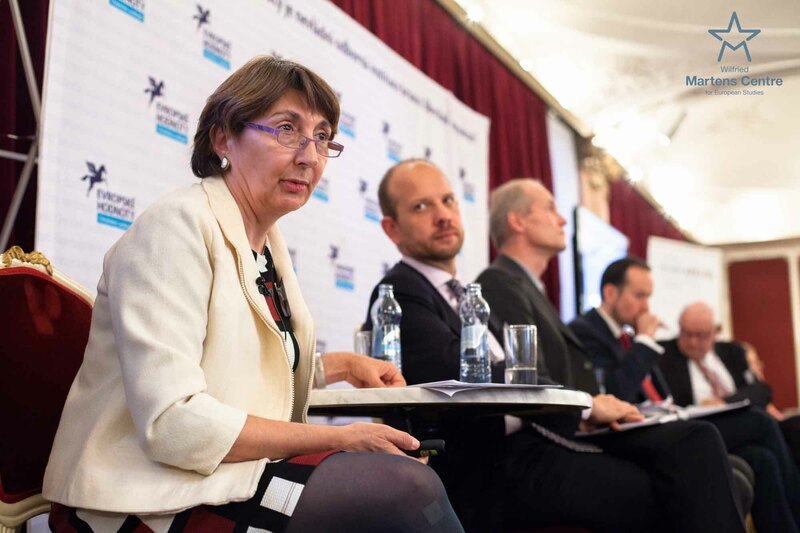 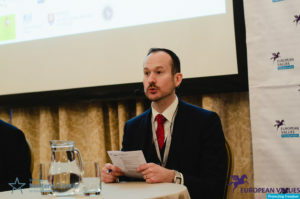 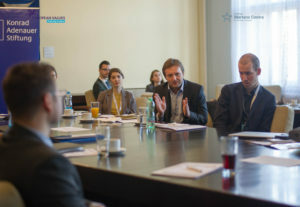 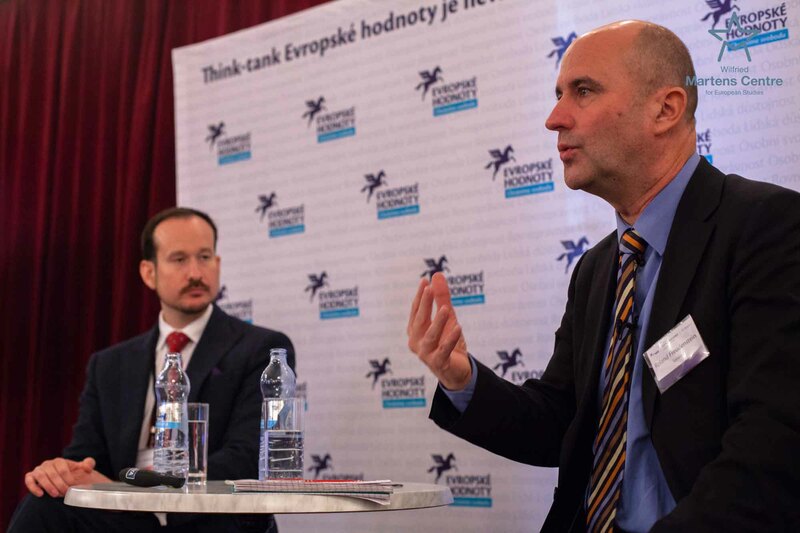 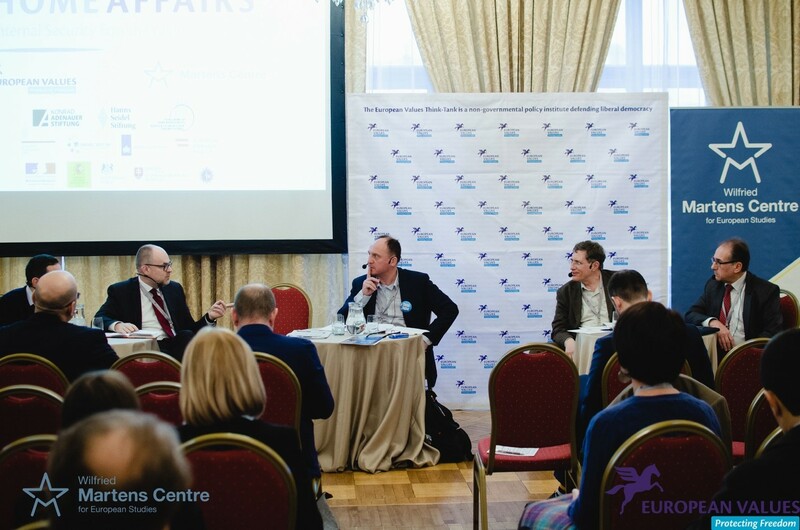 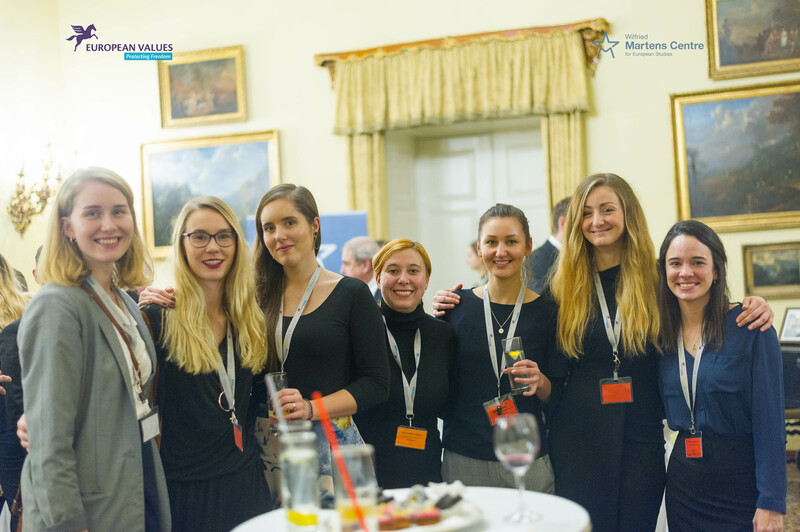 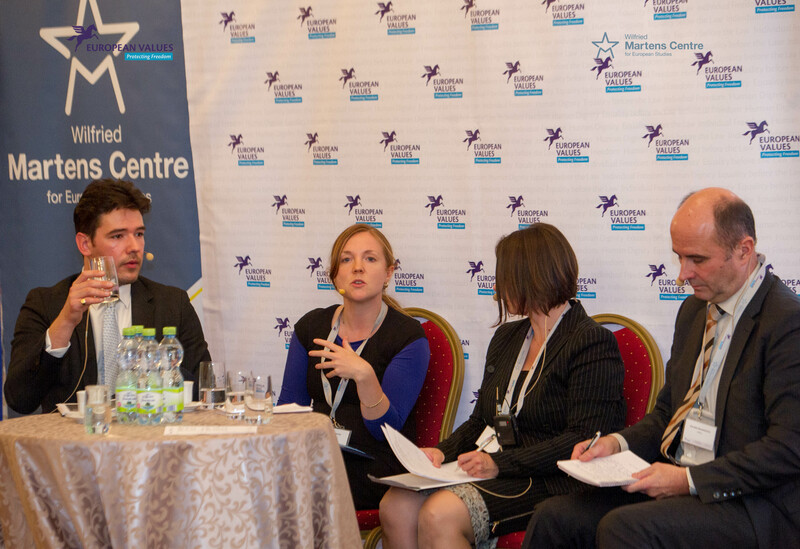 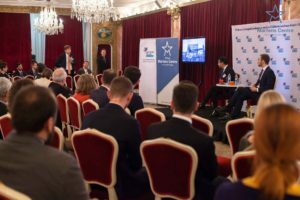 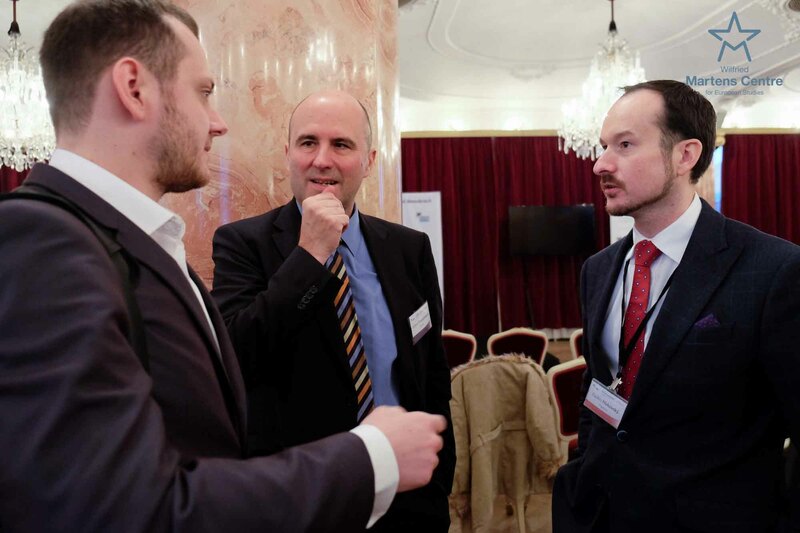 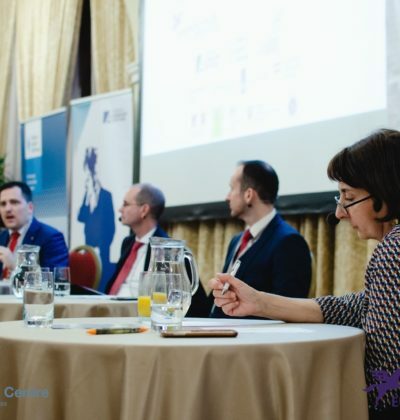 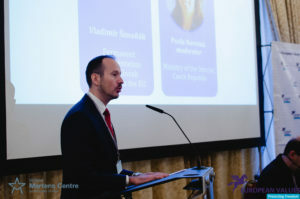 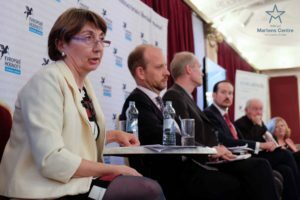 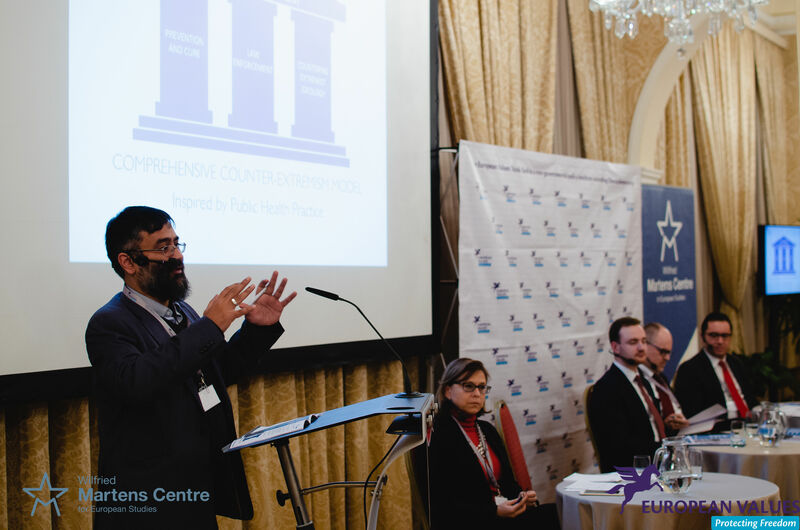 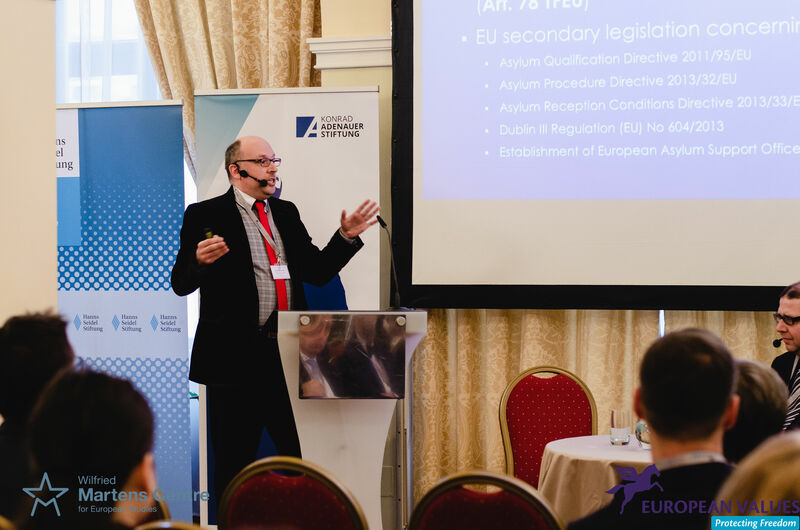 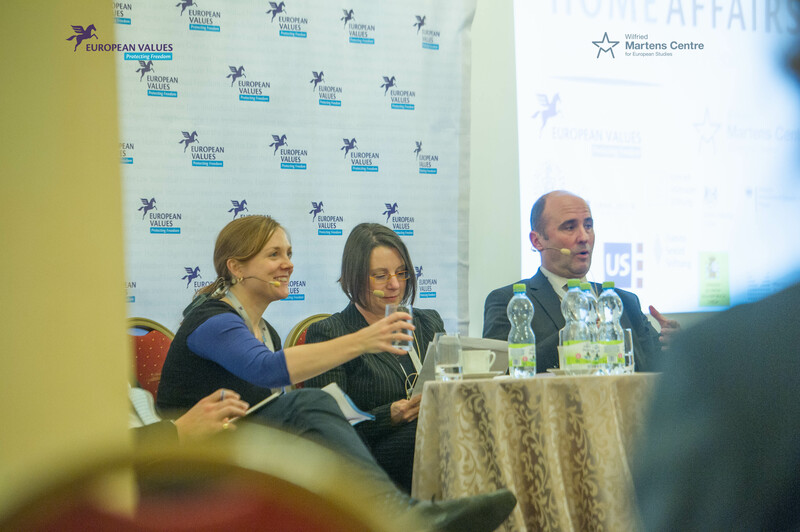 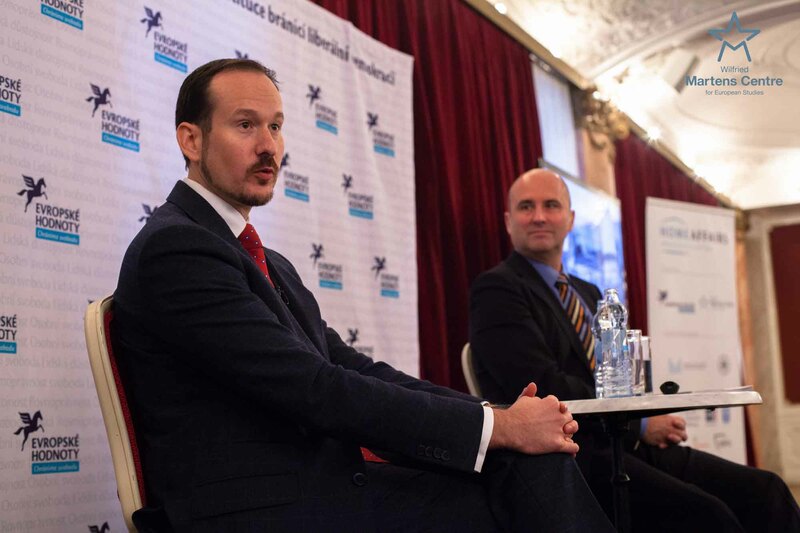 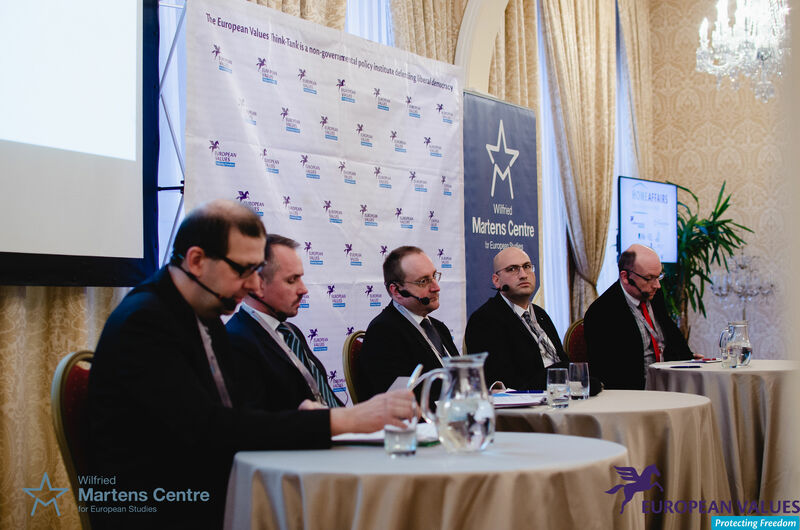 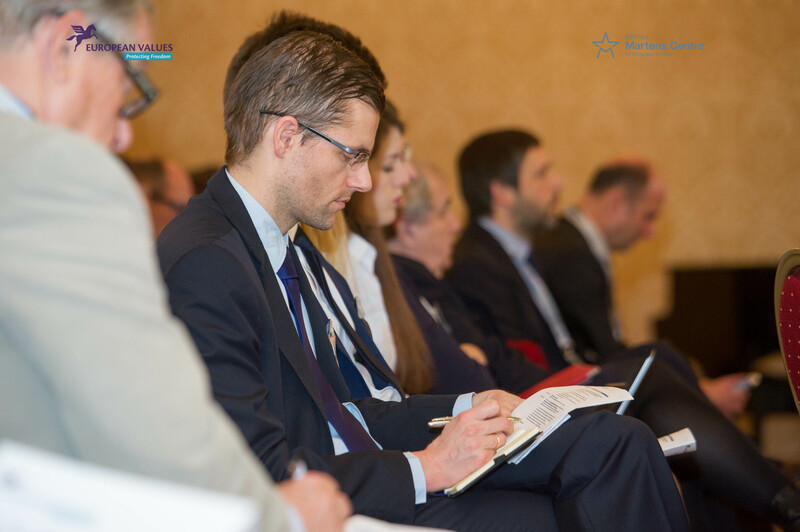 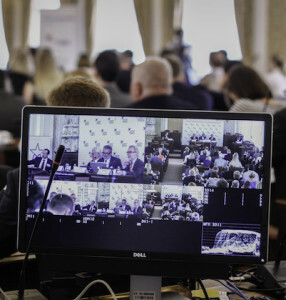 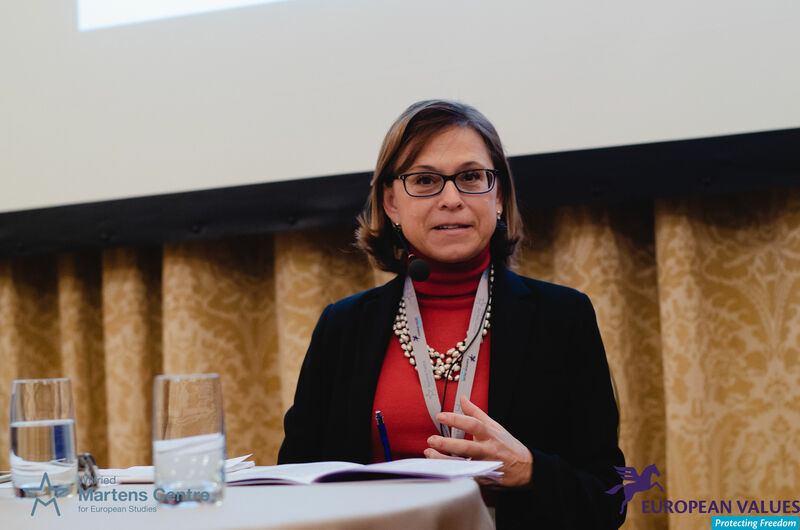 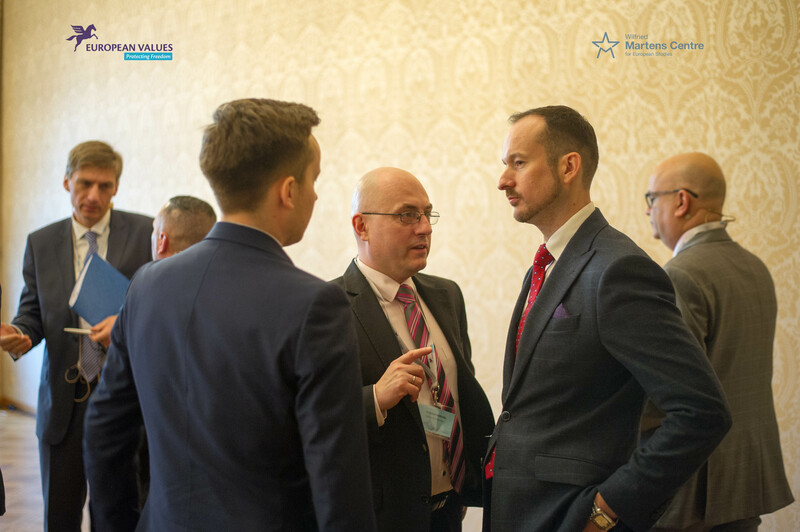 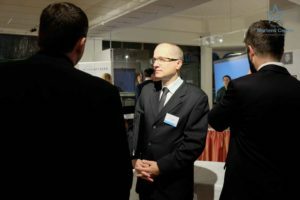 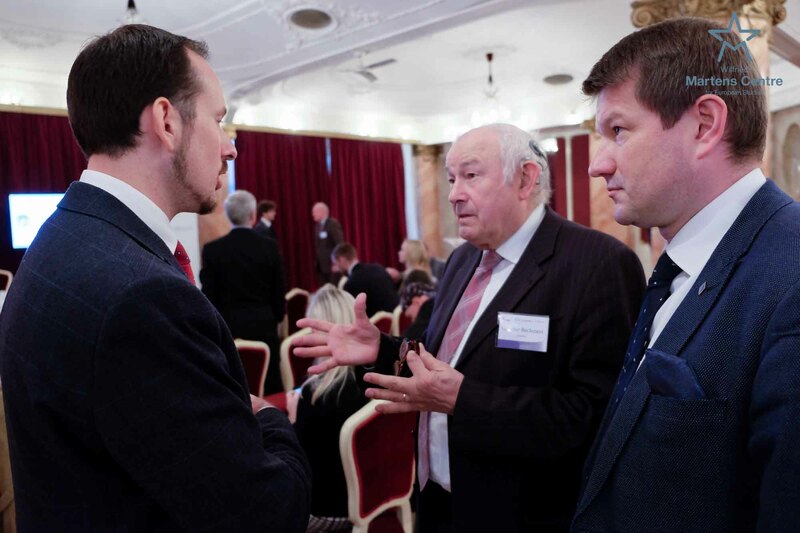 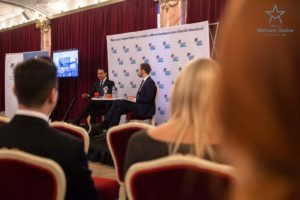 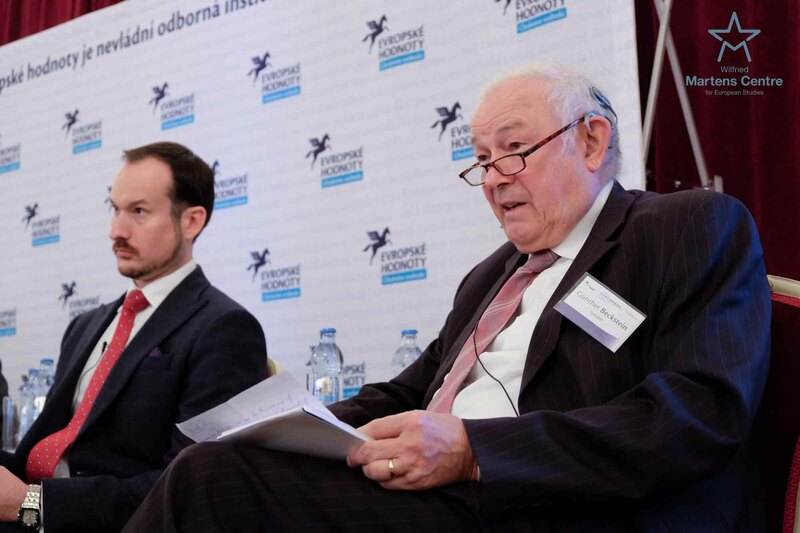 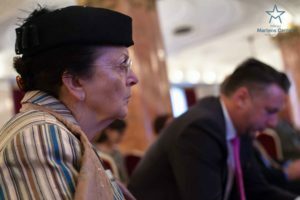 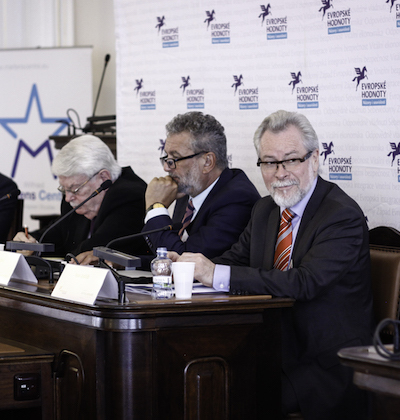 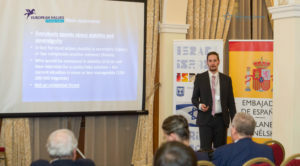 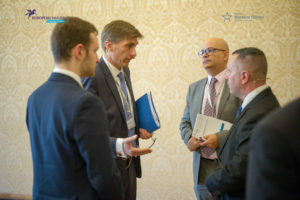 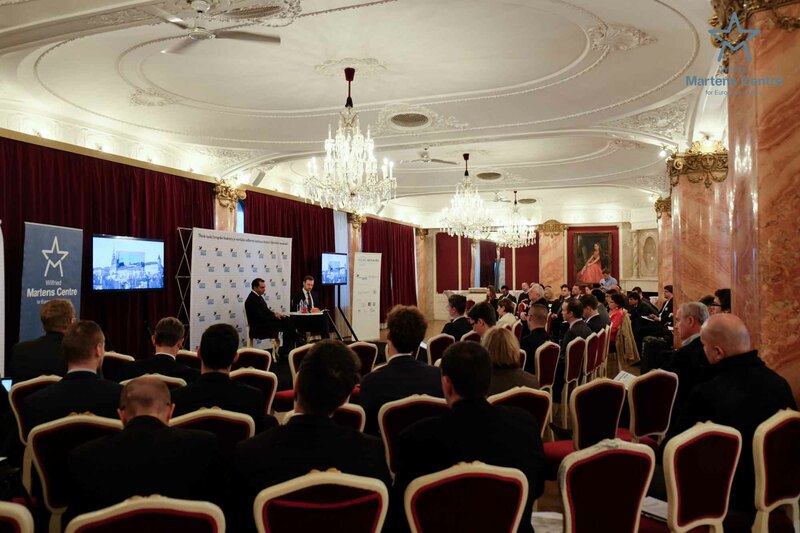 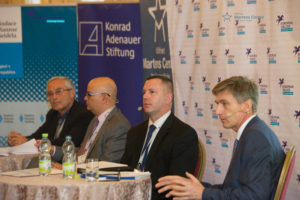 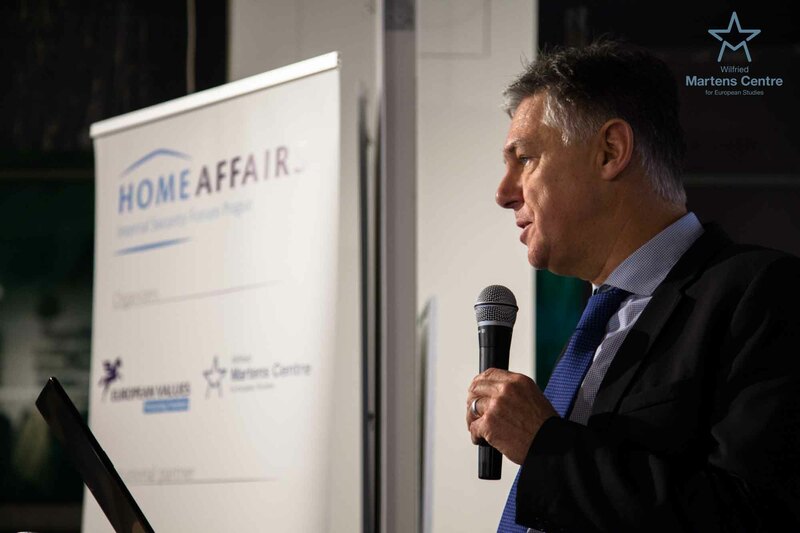 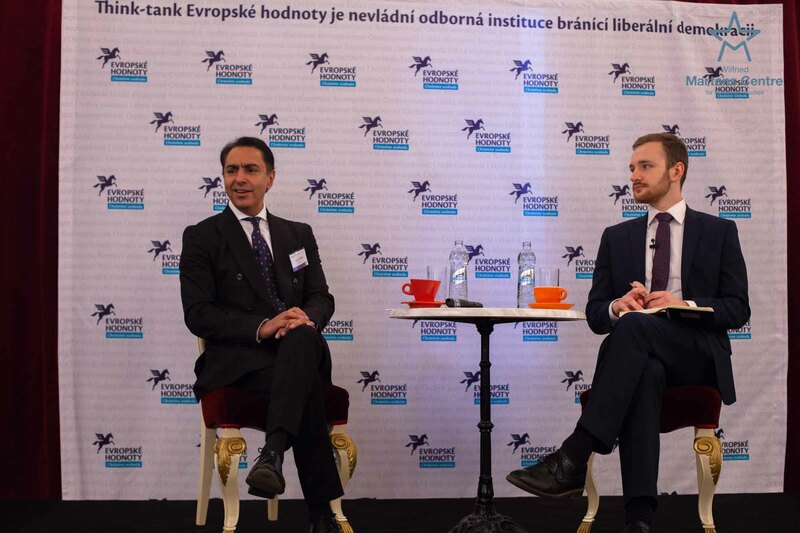 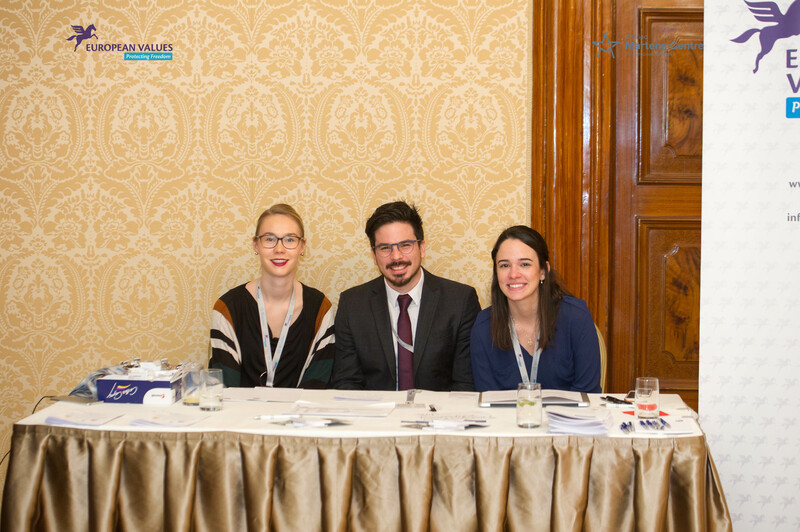 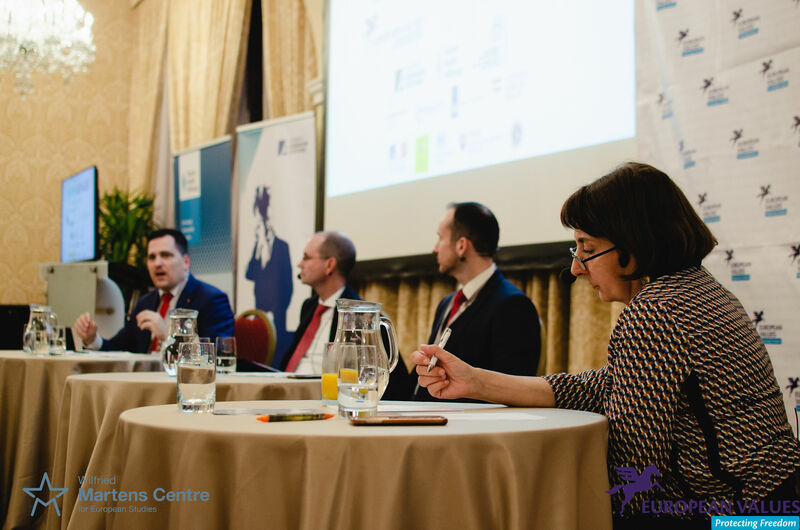 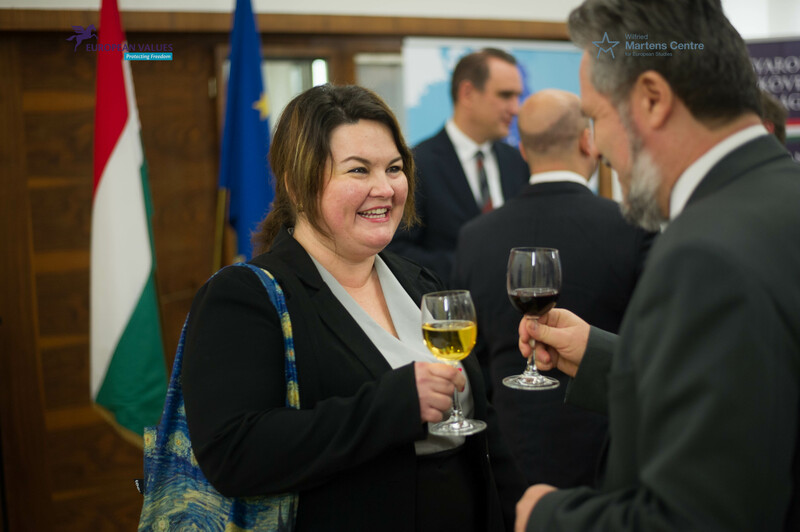 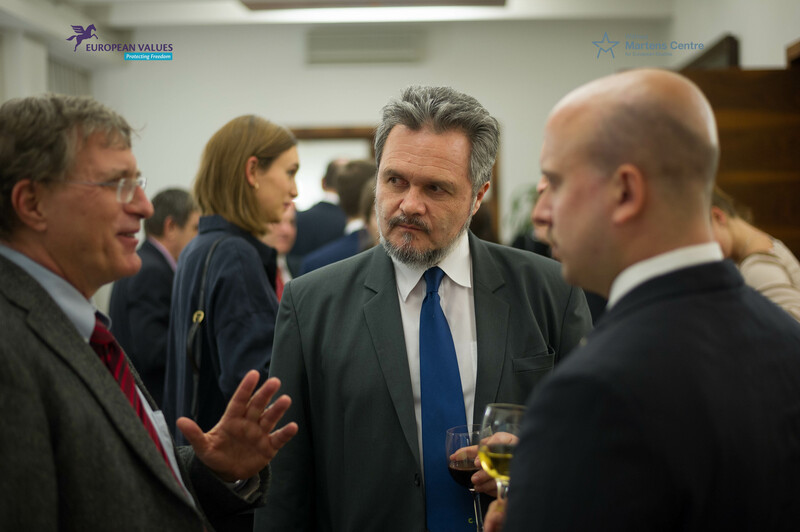 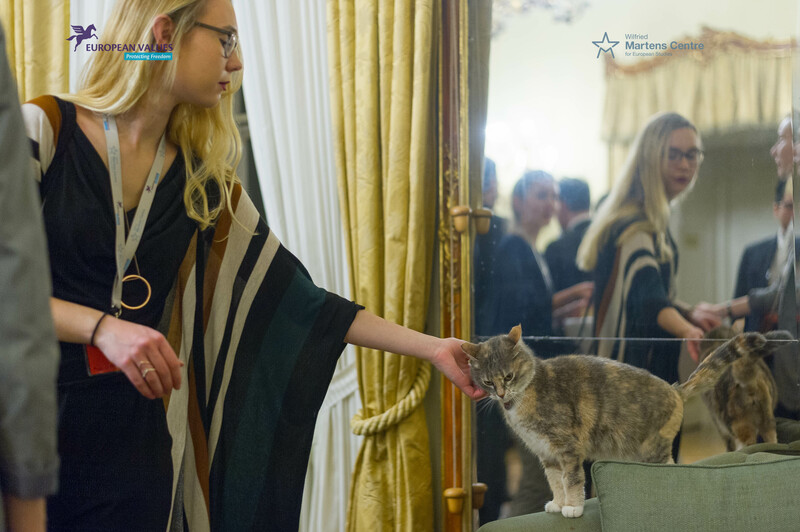 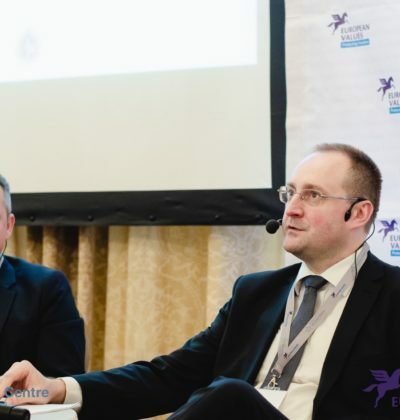 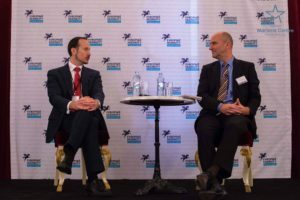 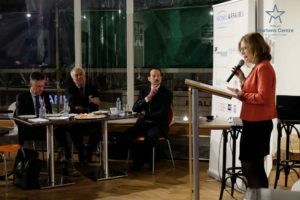 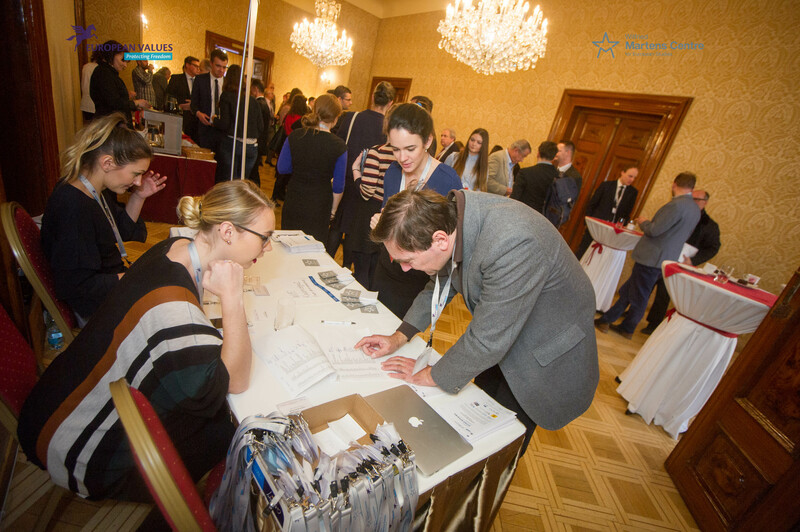 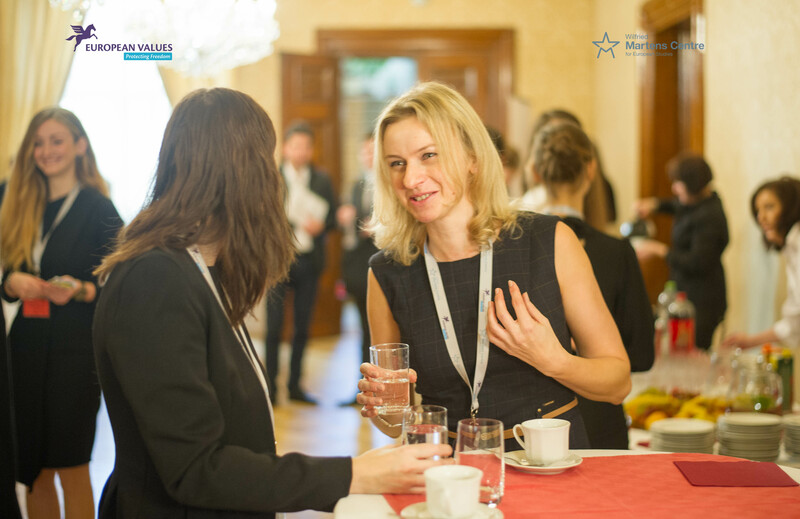 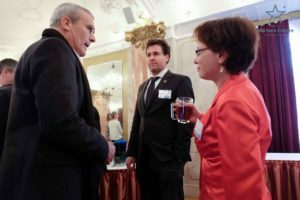 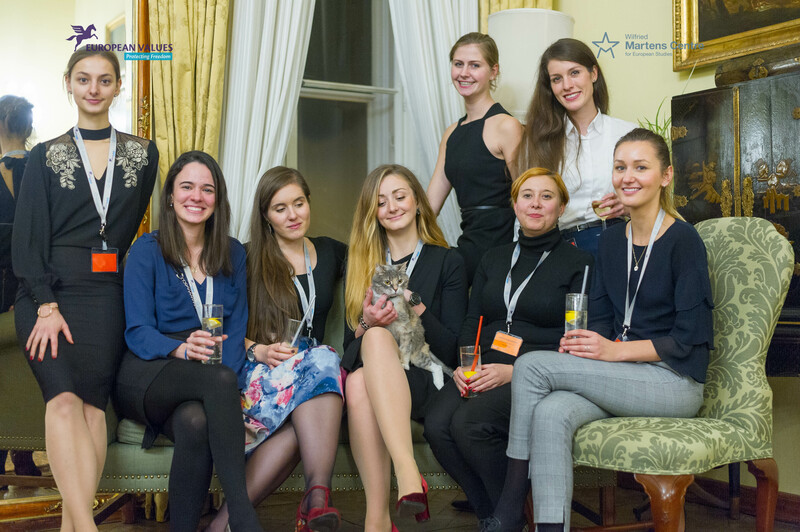 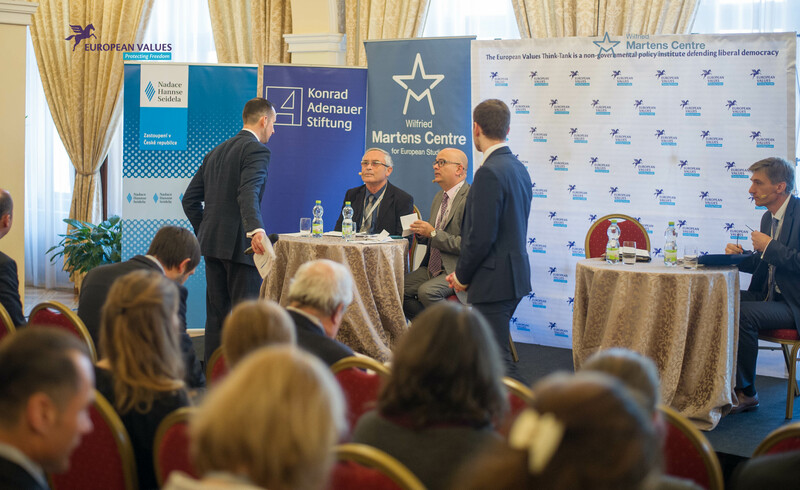 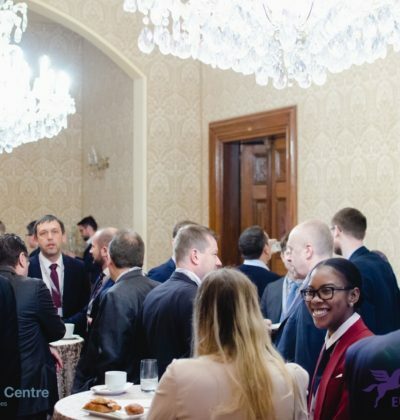 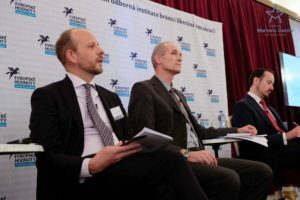 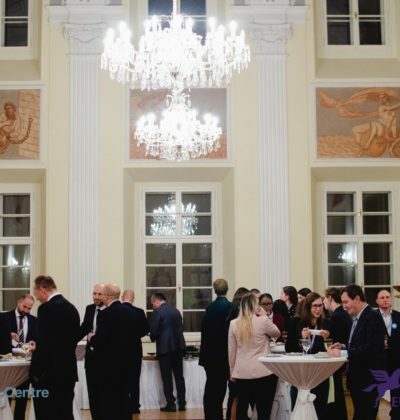 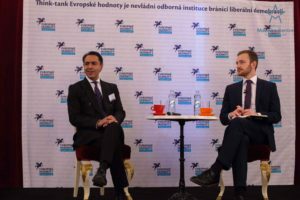 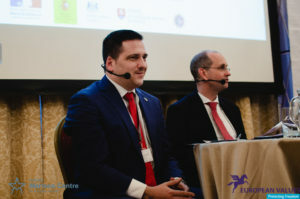 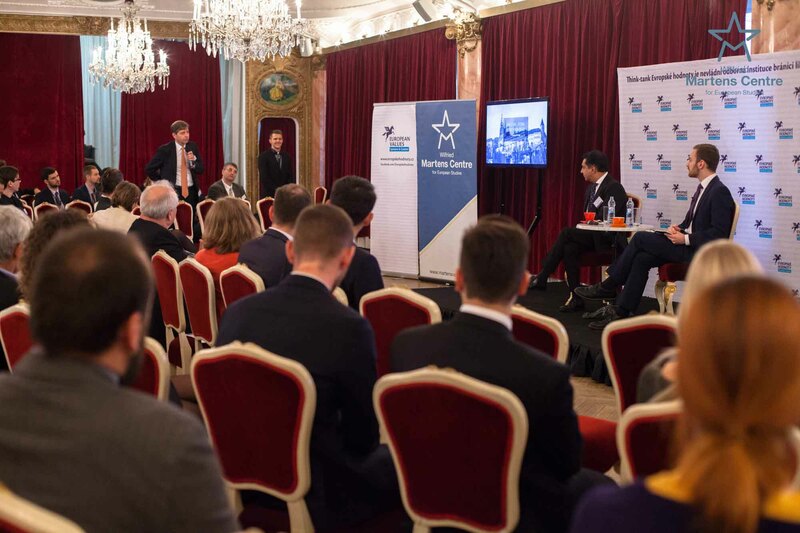 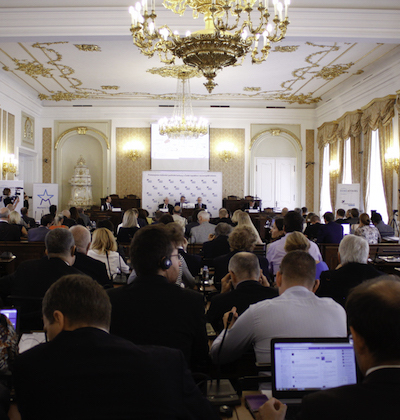 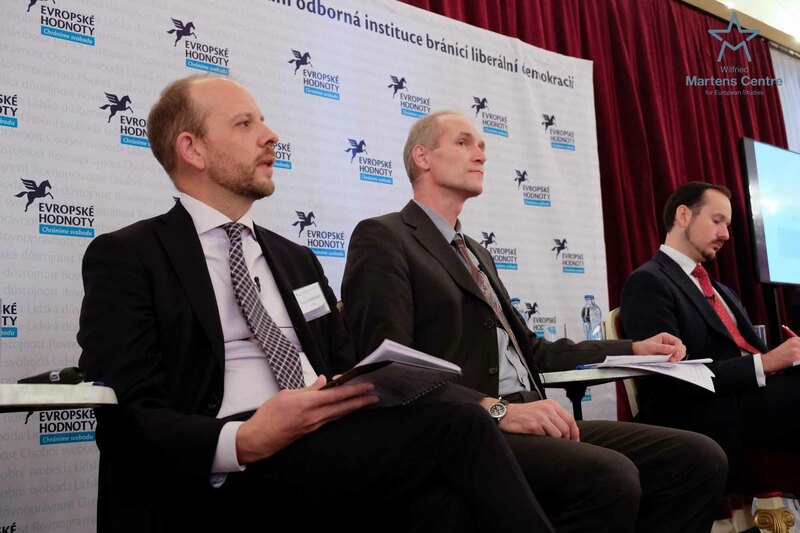 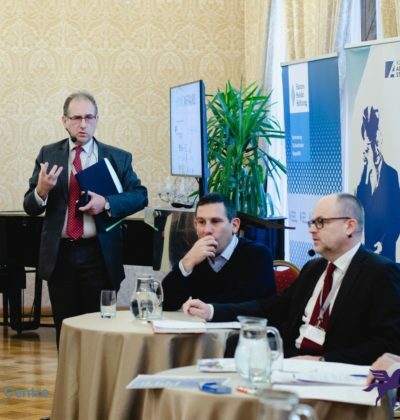 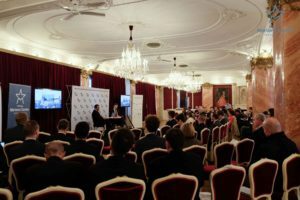 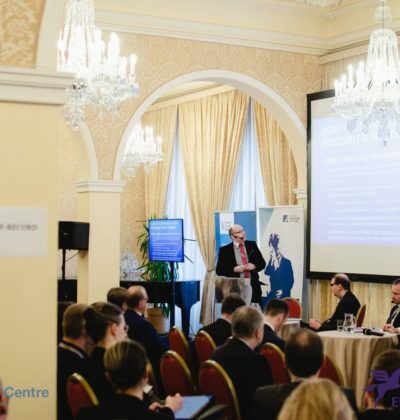 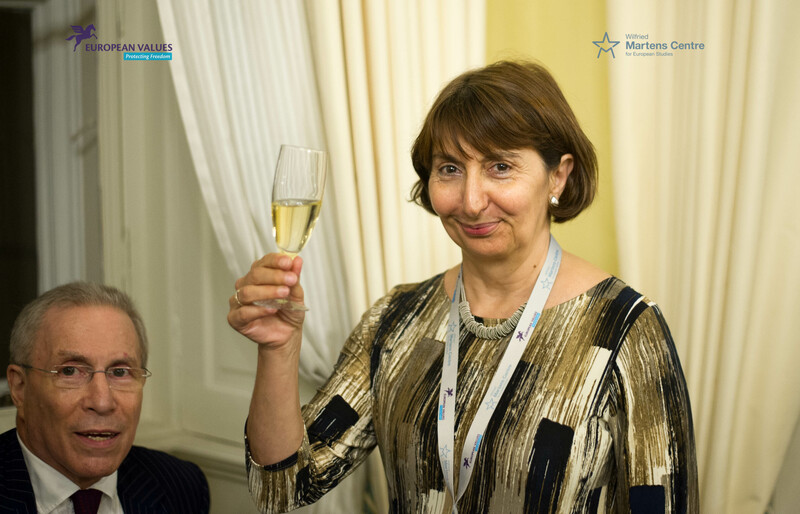 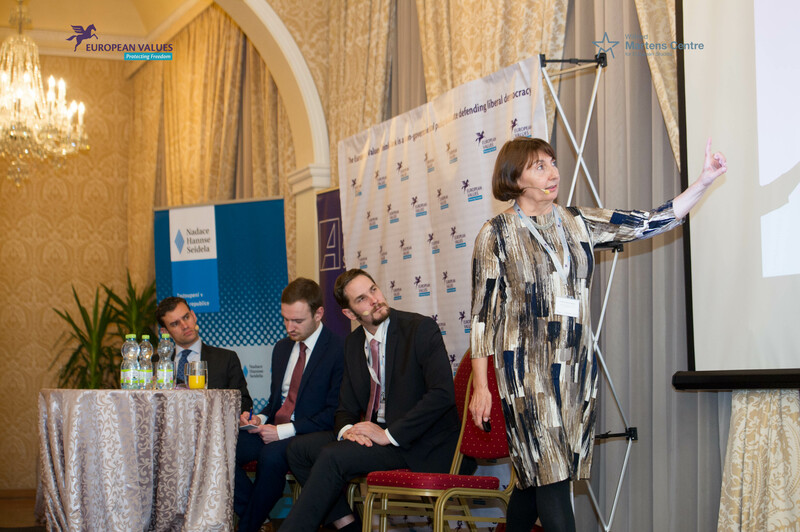 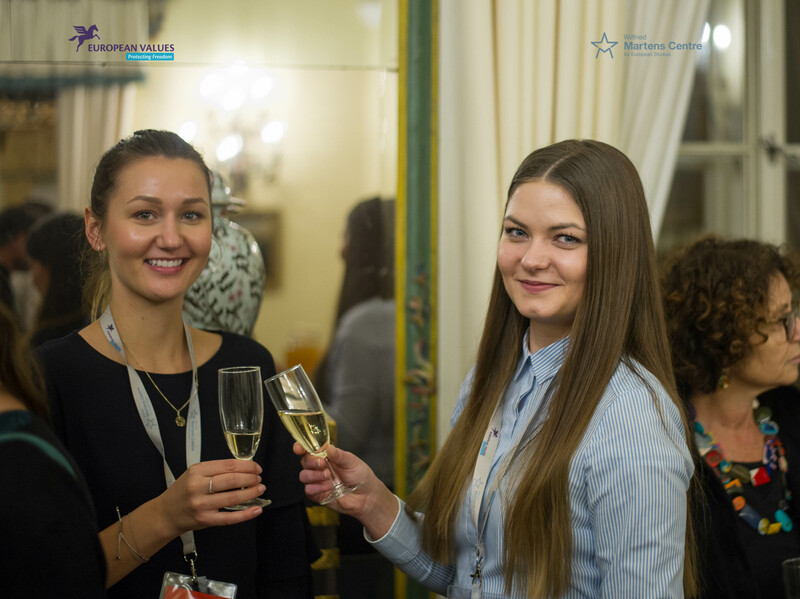 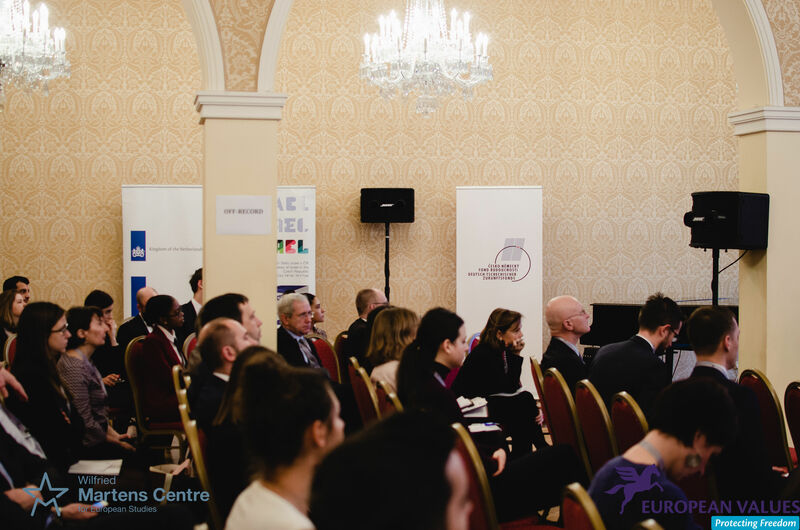 HOMEAFFAIRS – Internal Security Forum Prague is an annual platform for policy makers, non-governmental experts and business representatives to discuss the most pressing internal security challenges. 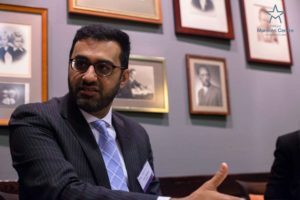 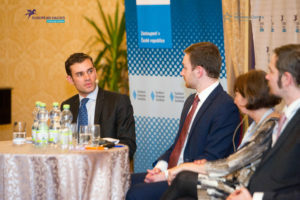 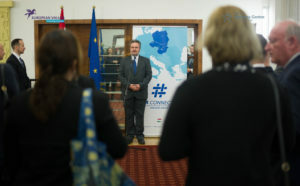 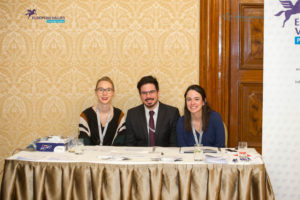 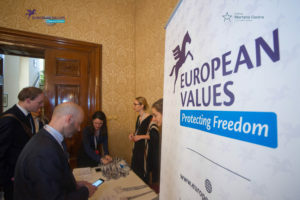 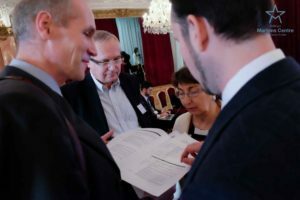 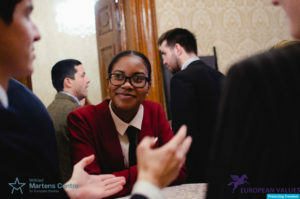 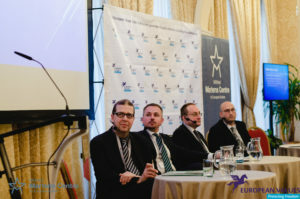 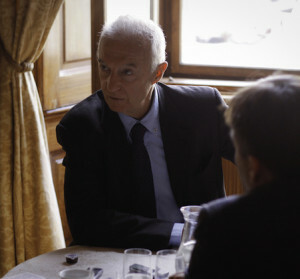 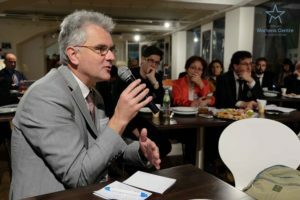 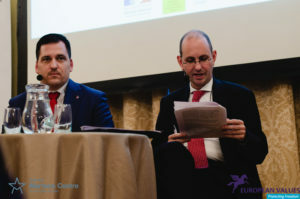 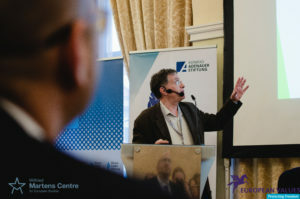 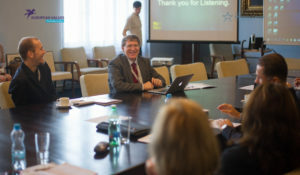 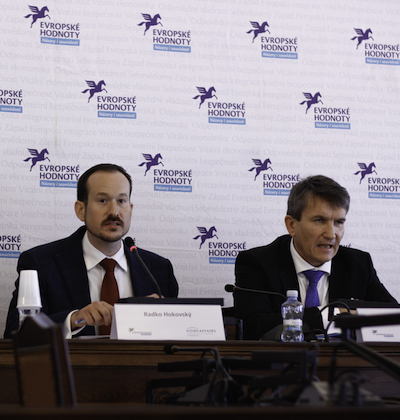 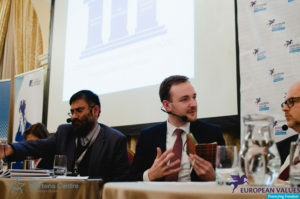 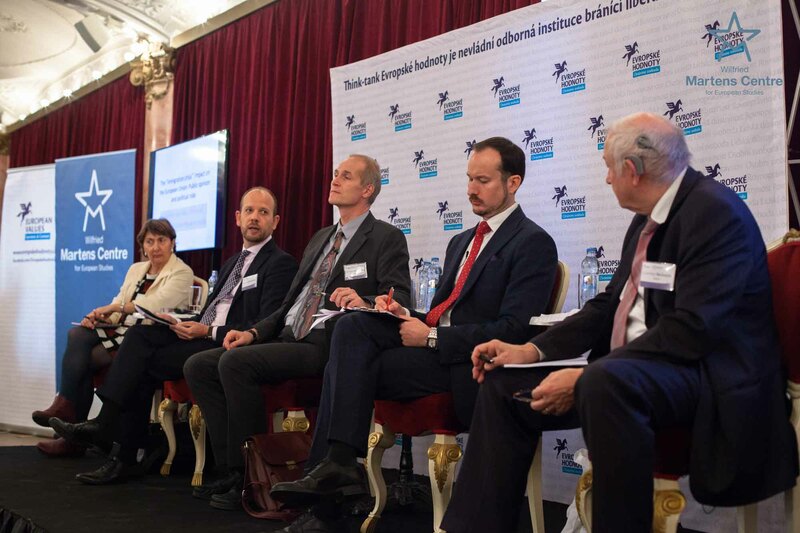 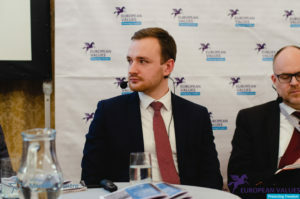 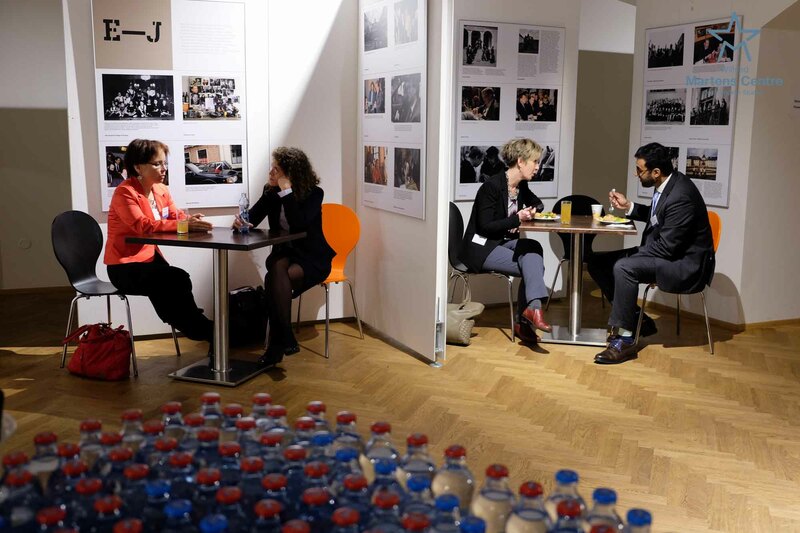 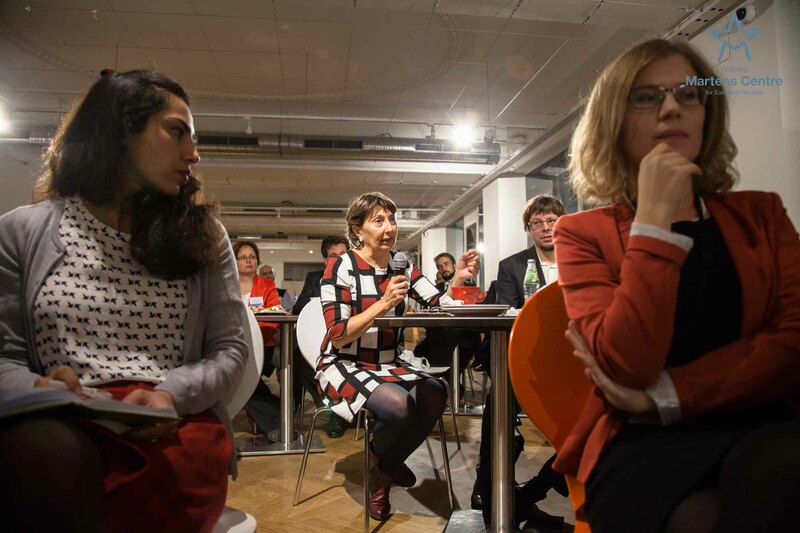 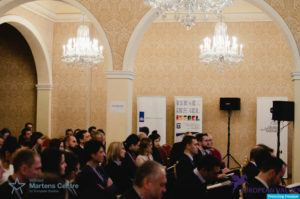 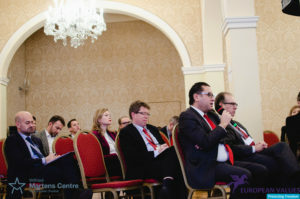 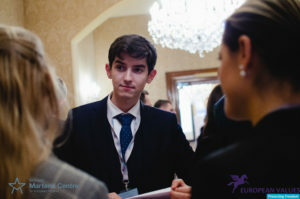 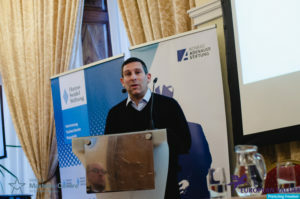 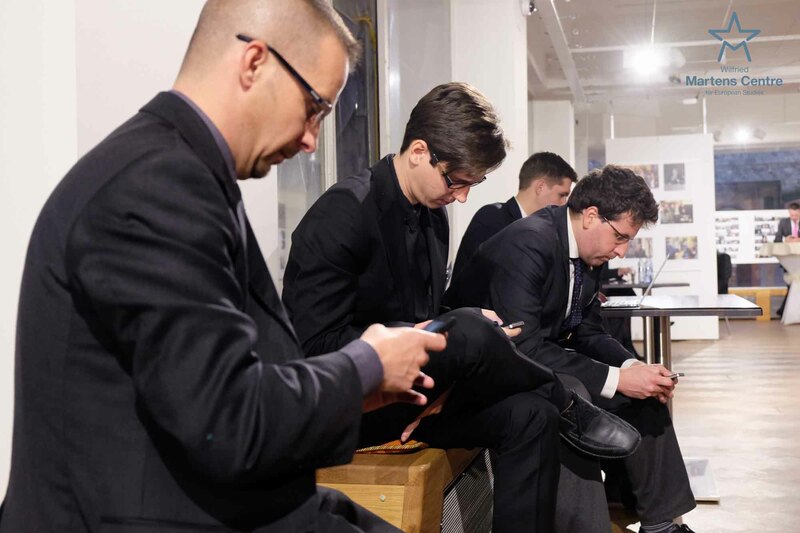 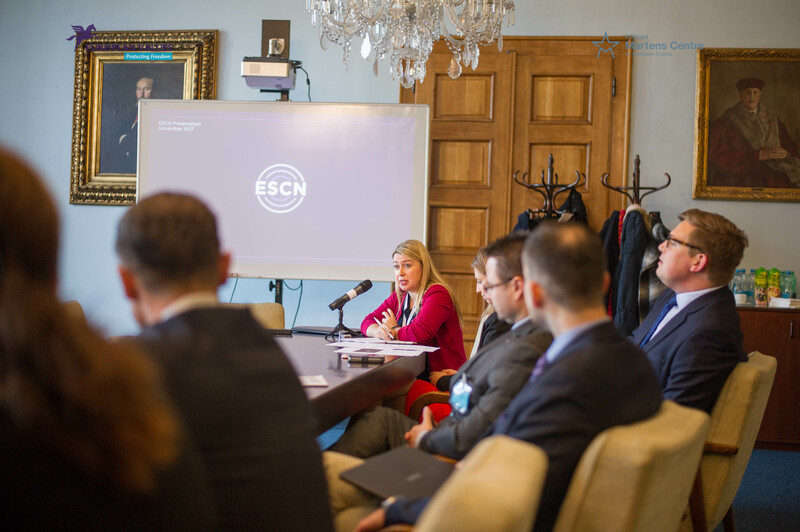 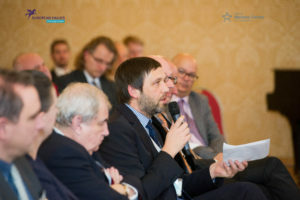 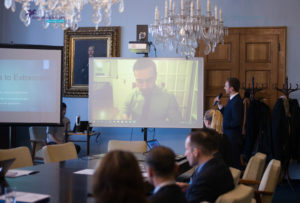 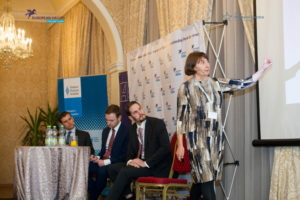 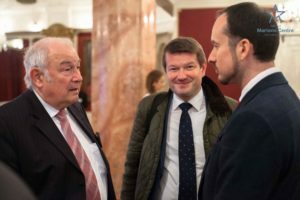 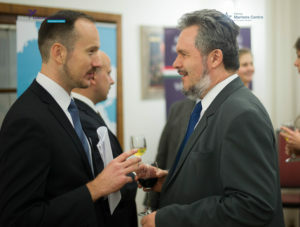 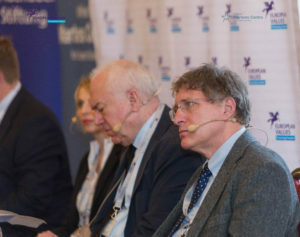 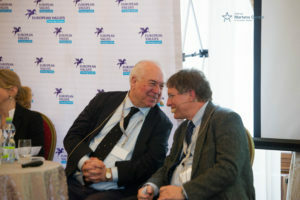 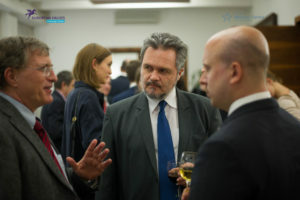 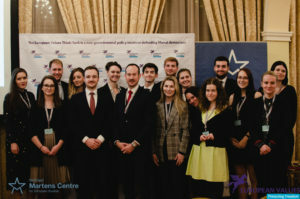 The Forum offers a unique emphasis on policy solutions and is quickly becoming an established event for involved policy makers across Europe and beyond. 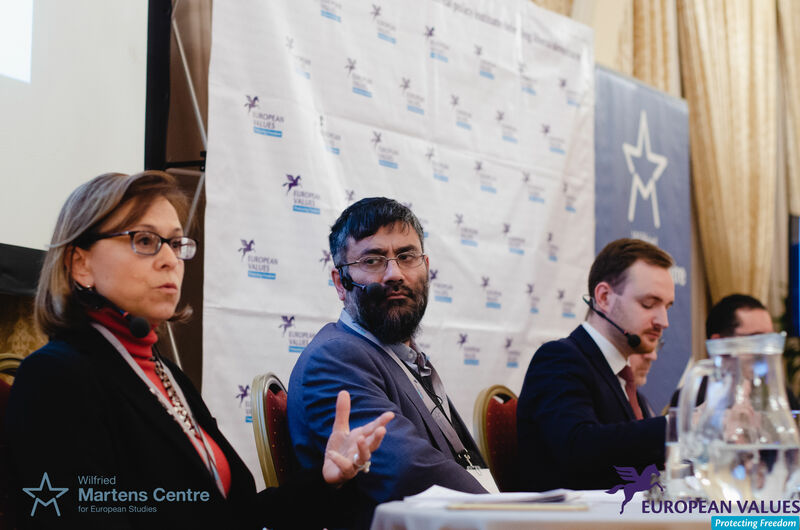 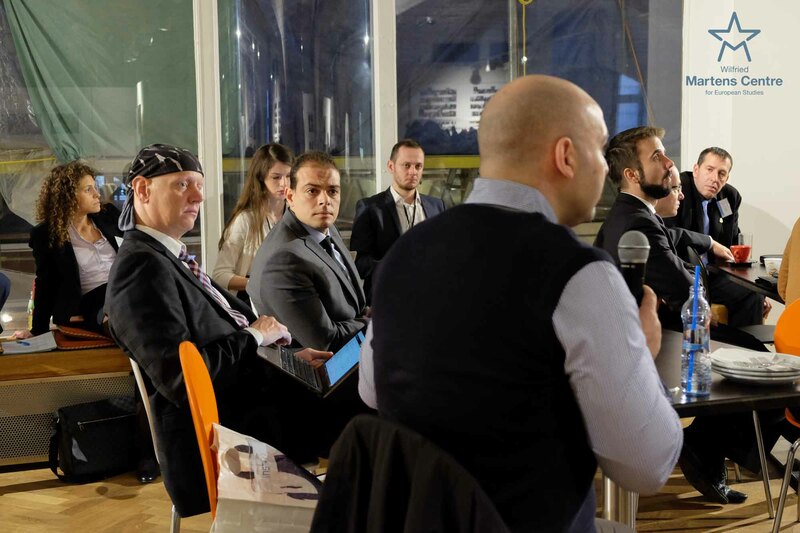 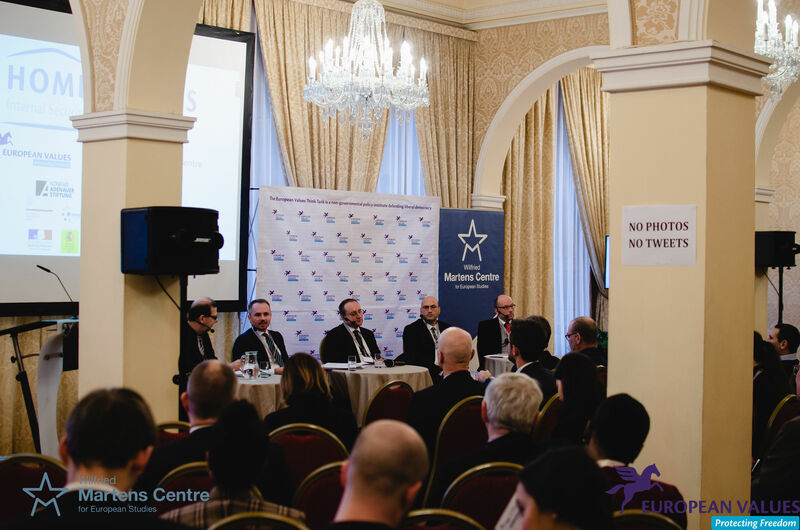 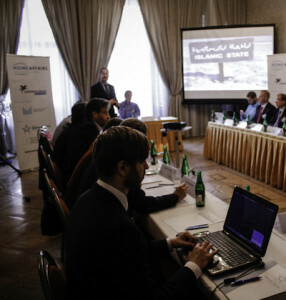 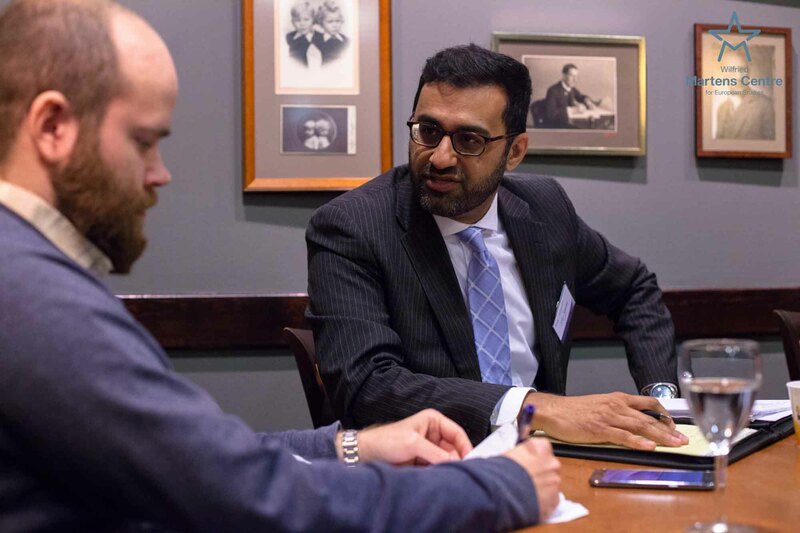 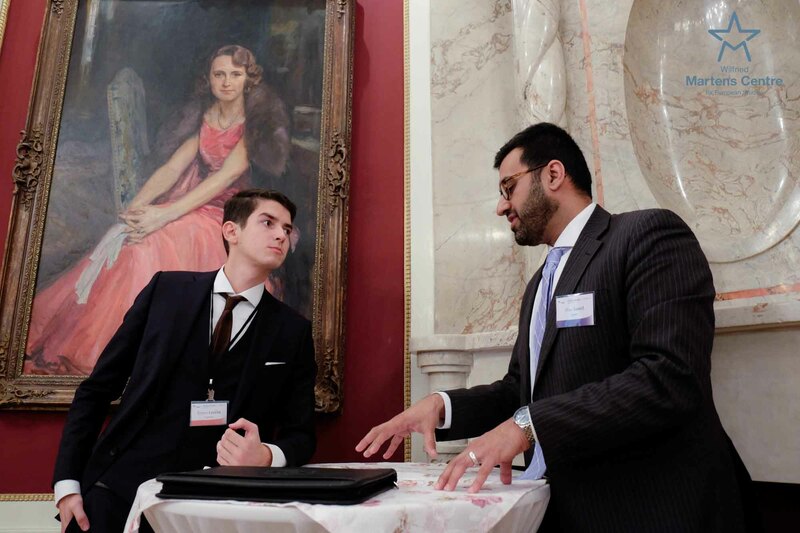 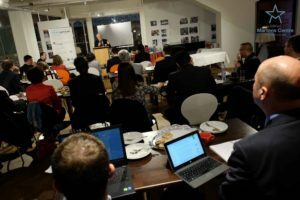 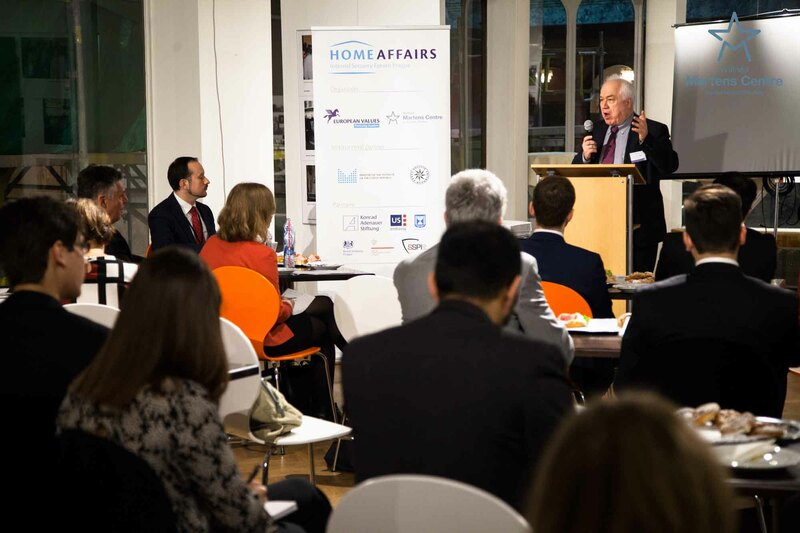 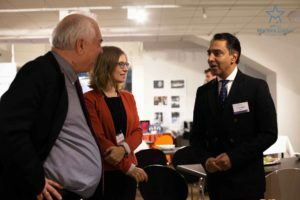 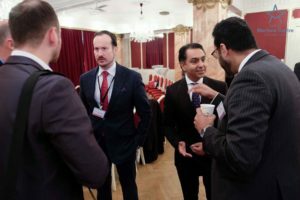 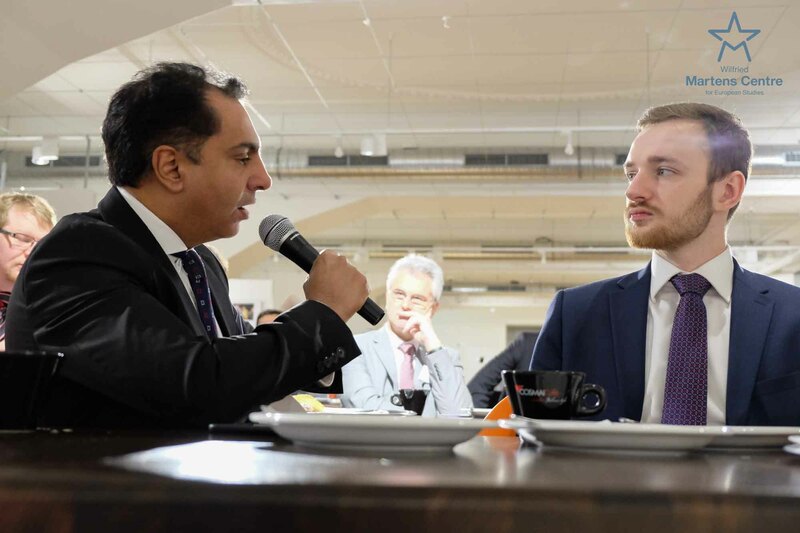 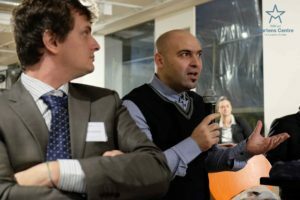 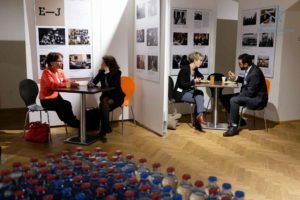 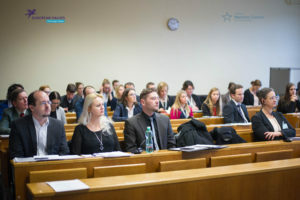 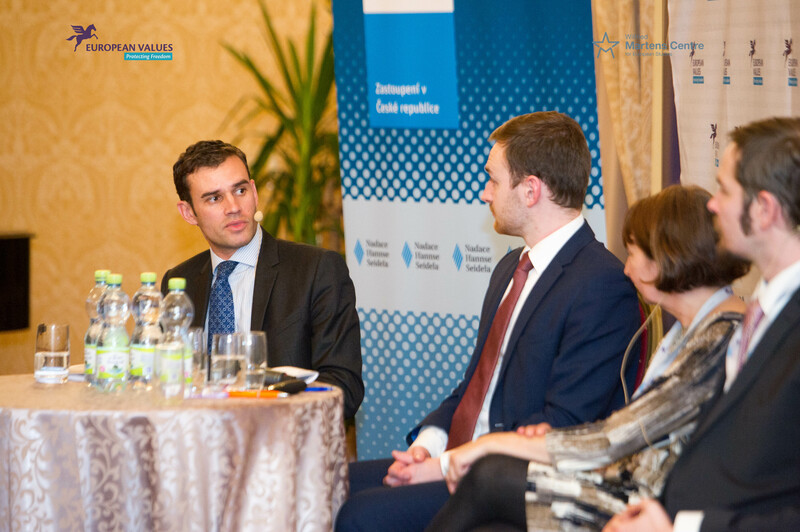 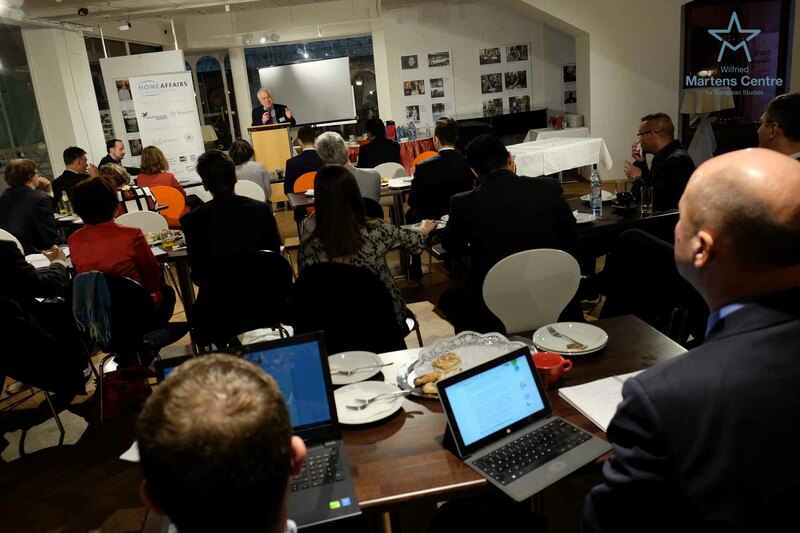 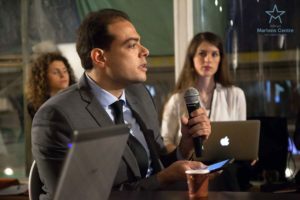 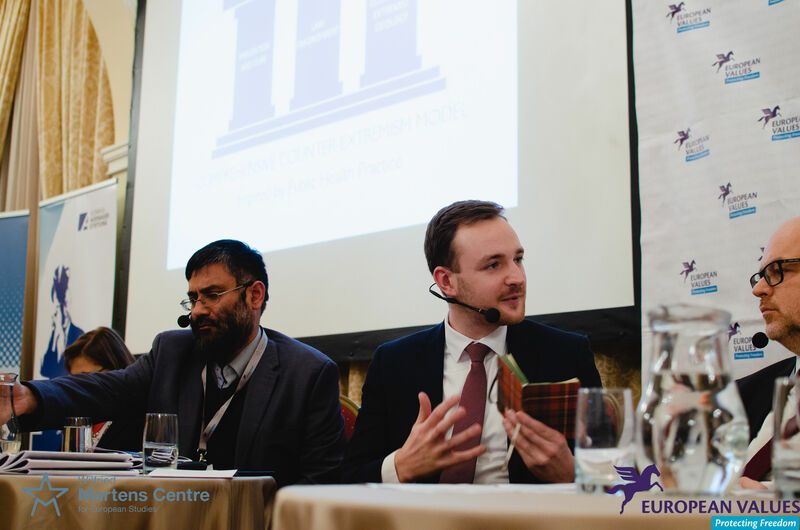 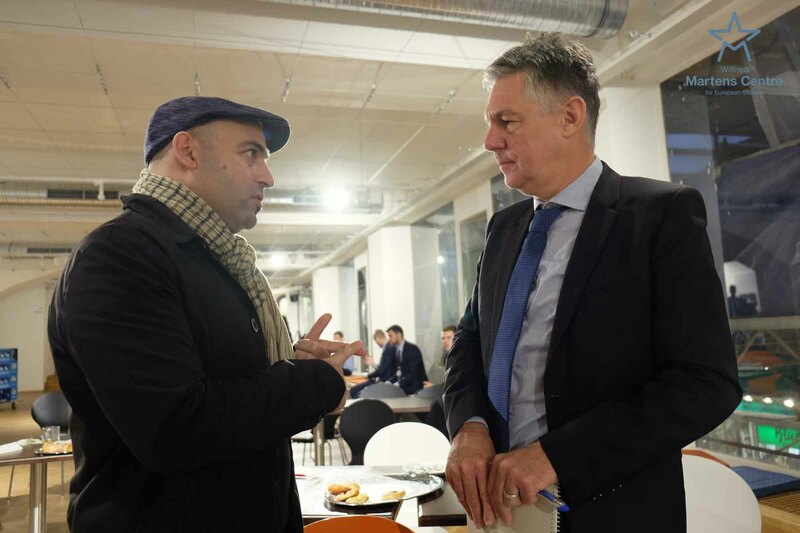 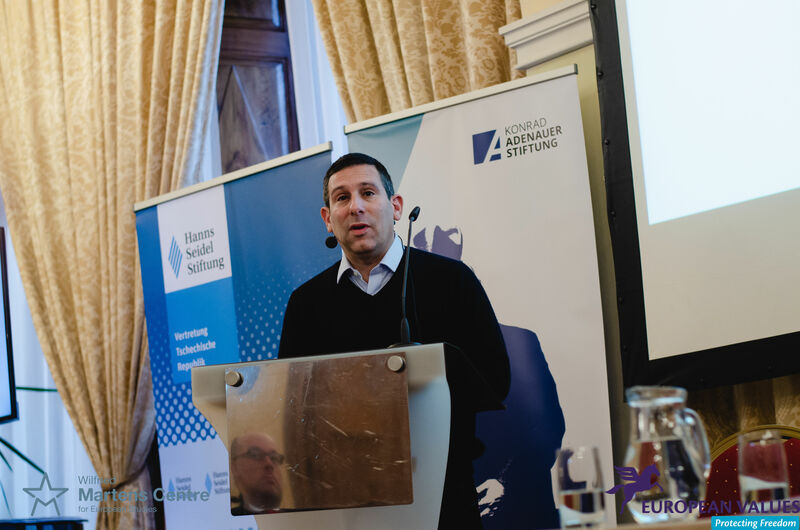 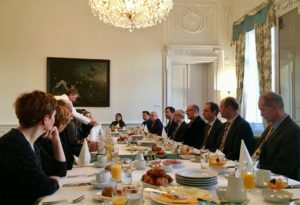 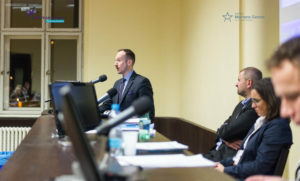 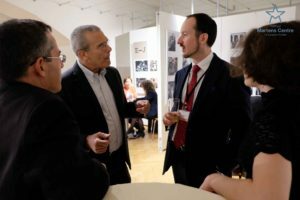 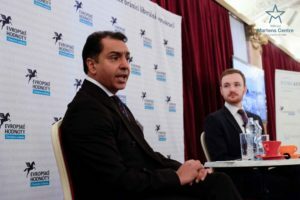 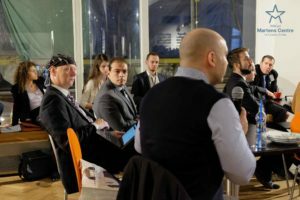 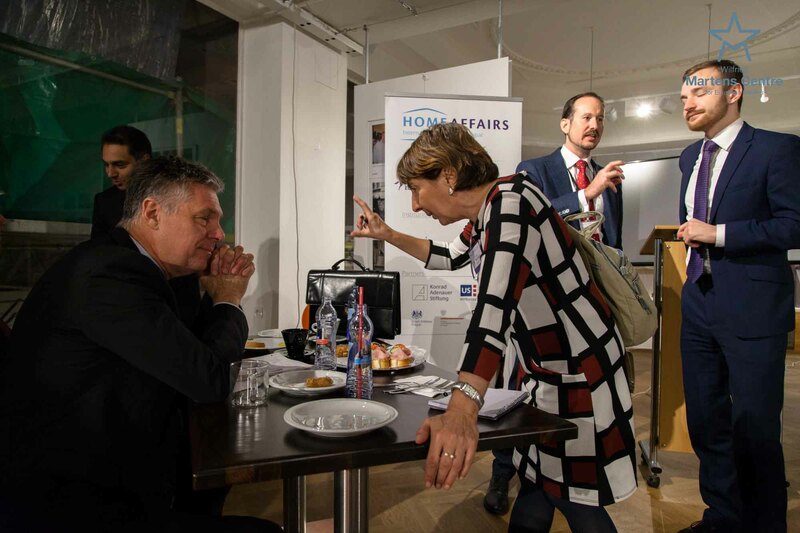 The 4th iteration of HOMEAFFAIRS took place in Prague on 21-23 November 2018, with closed and open sessions to discuss migration policy and the ongoing necessity to prevent Islamic extremism. 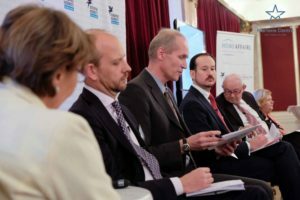 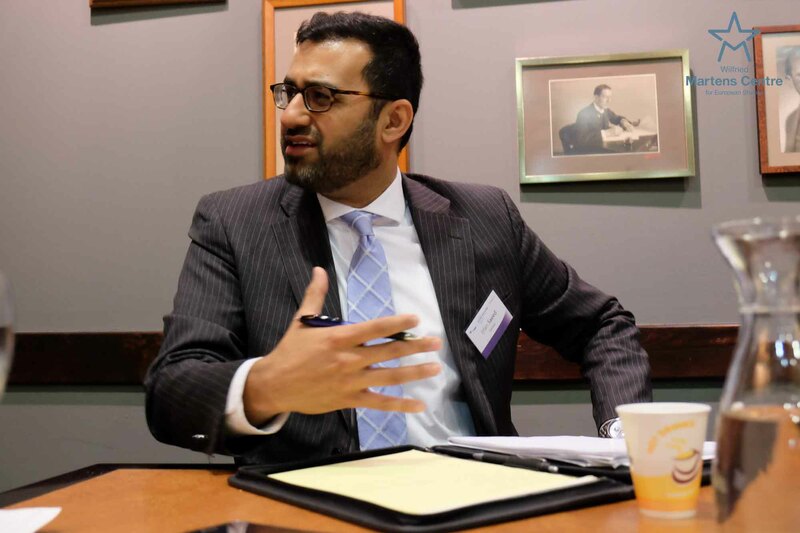 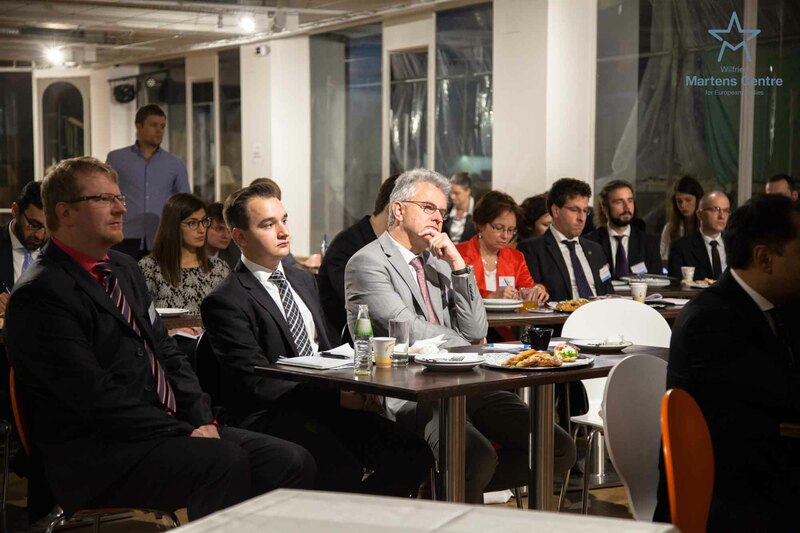 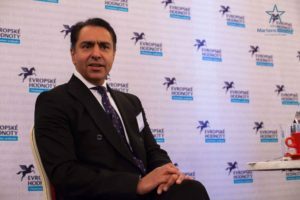 The 2018 edition of the Forum entailed 98 policy makers, international experts, political representatives and business representatives from 20 countries. 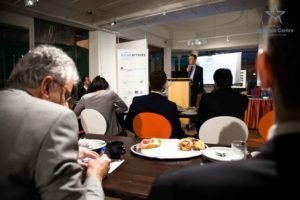 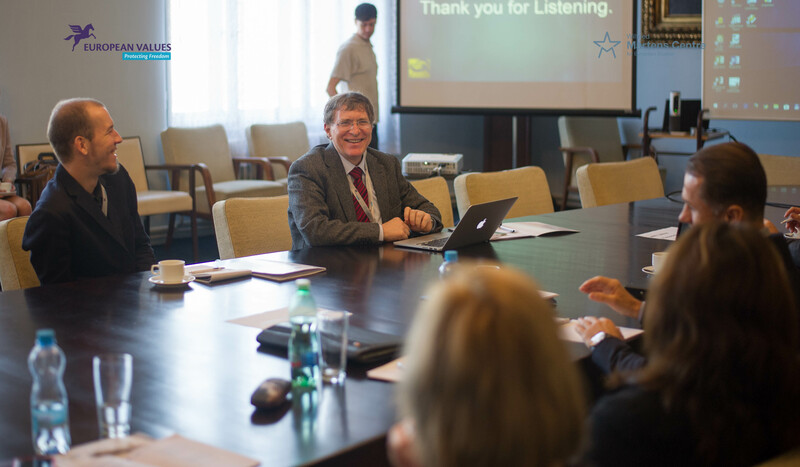 The participants attended 13 events in 3 days, including diverse conference panels, restricted roundtables and off-record briefings. The event enabled the creation of specific policy recommendations in these fields. 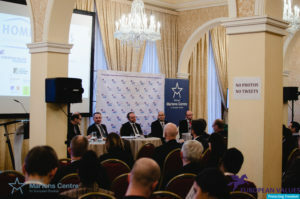 Two policy papers were presented during the event, which can be found in the Publications section. 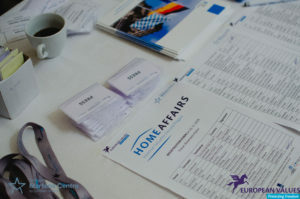 In 2019, HOMEAFFAIRS will be back for the 5th time. 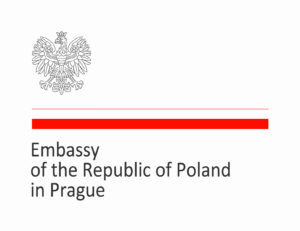 Please check this space for more information in the coming weeks. 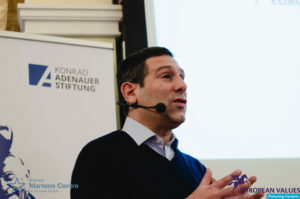 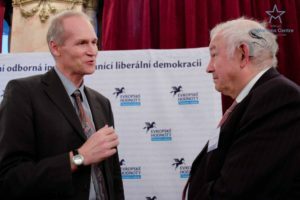 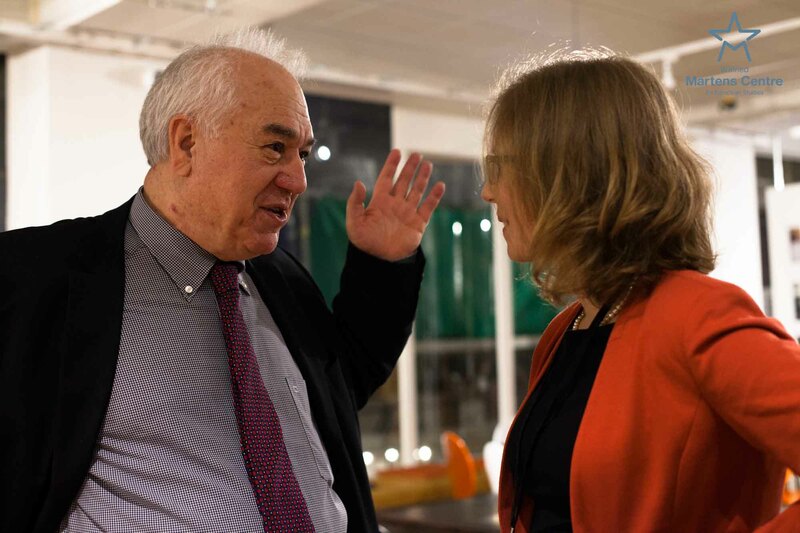 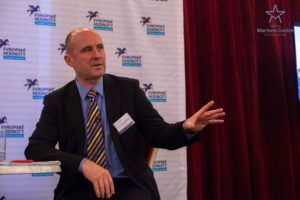 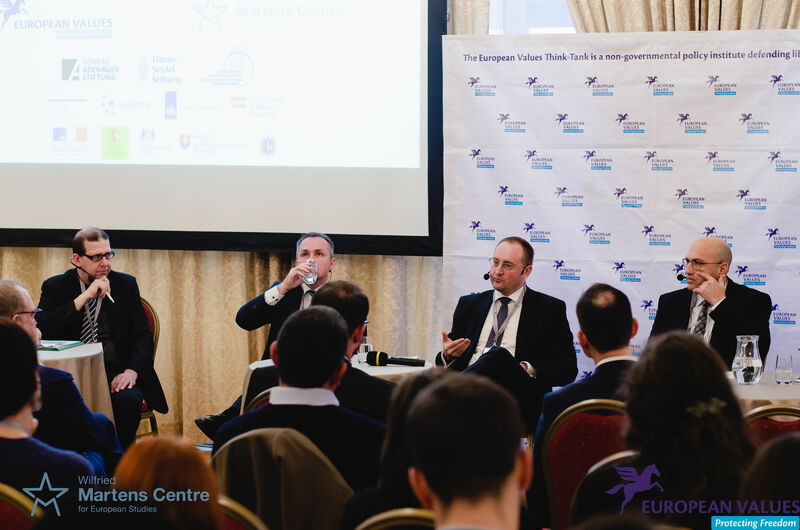 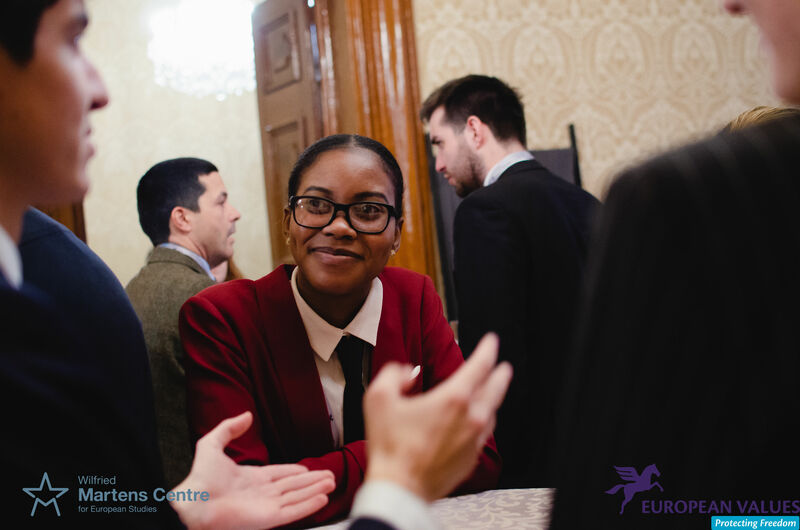 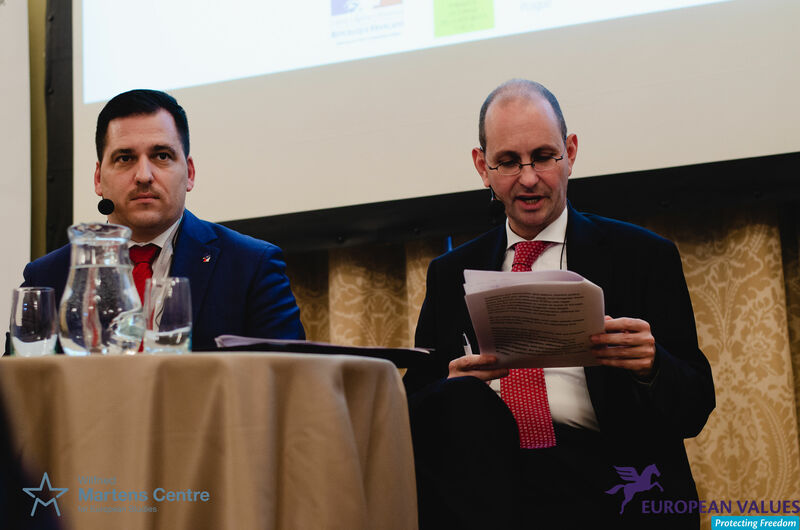 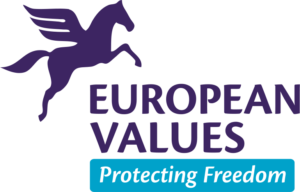 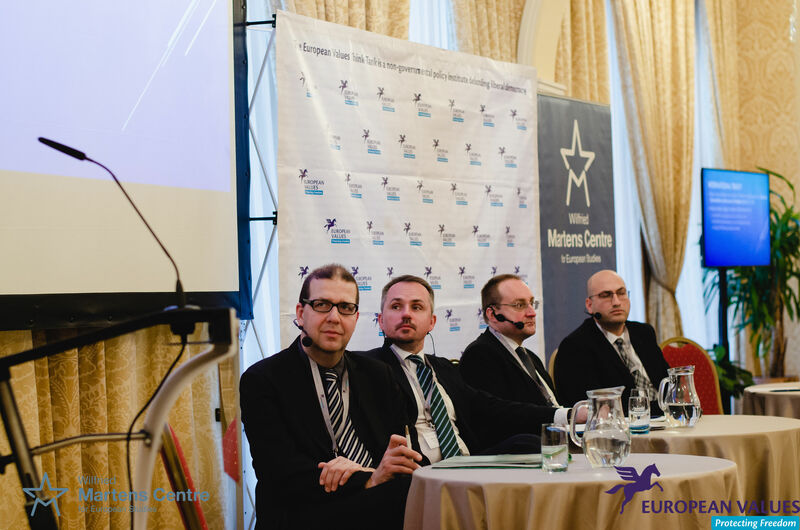 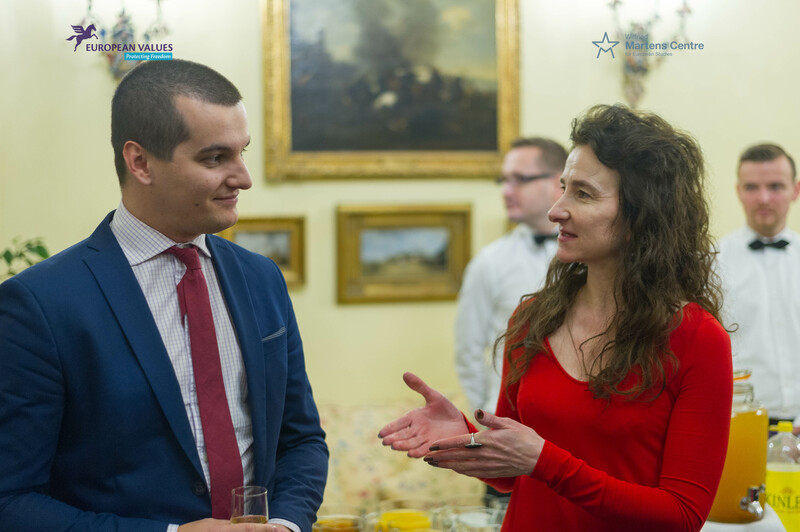 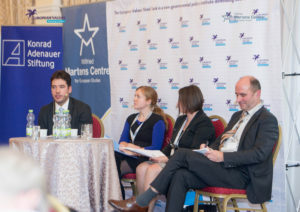 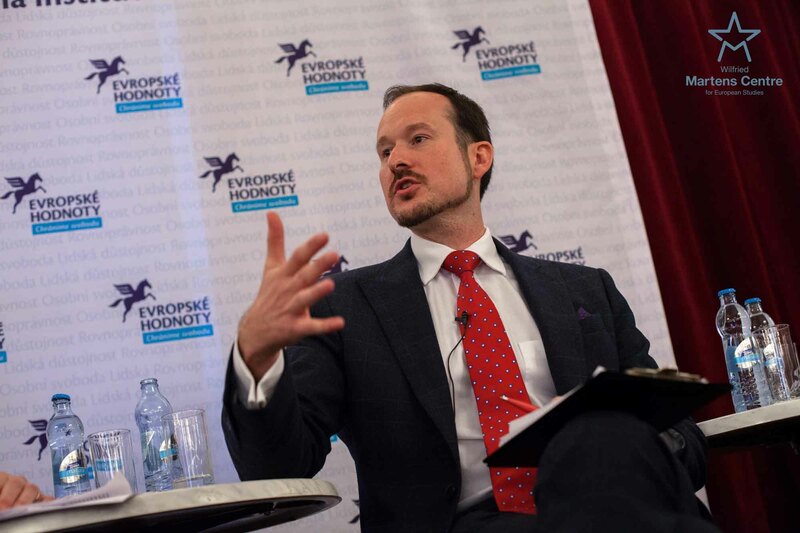 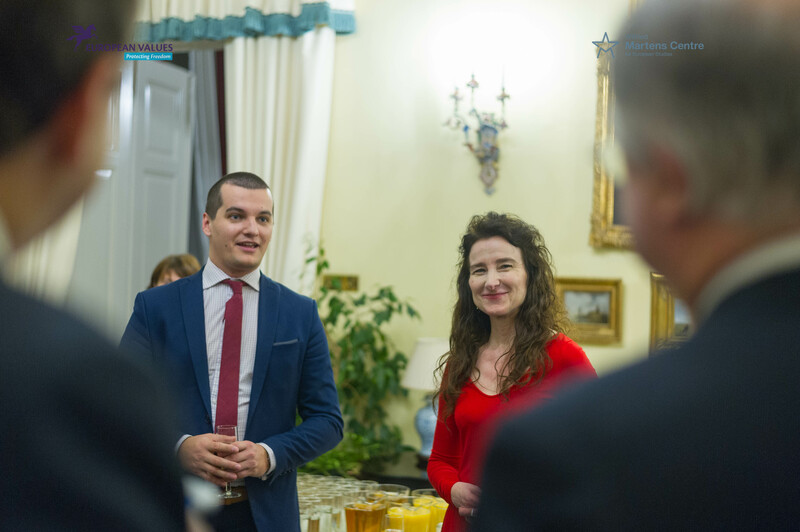 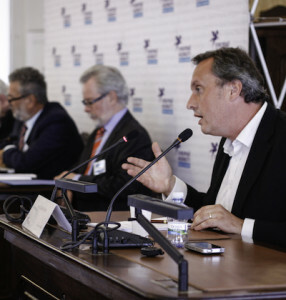 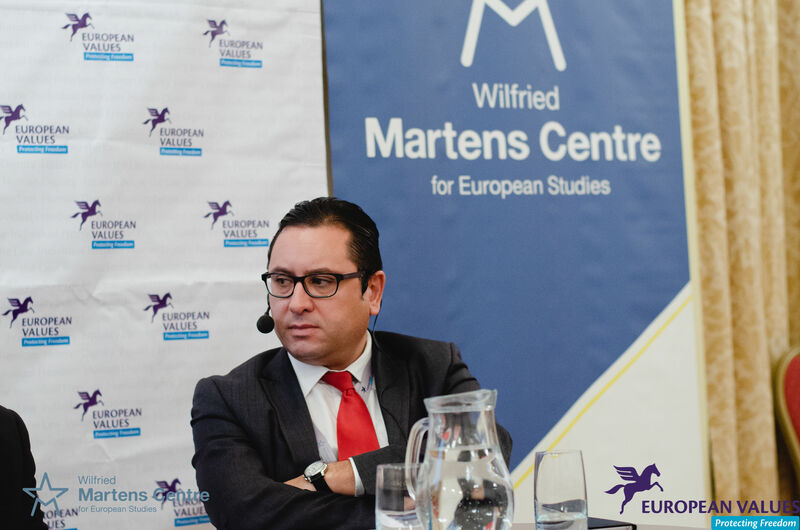 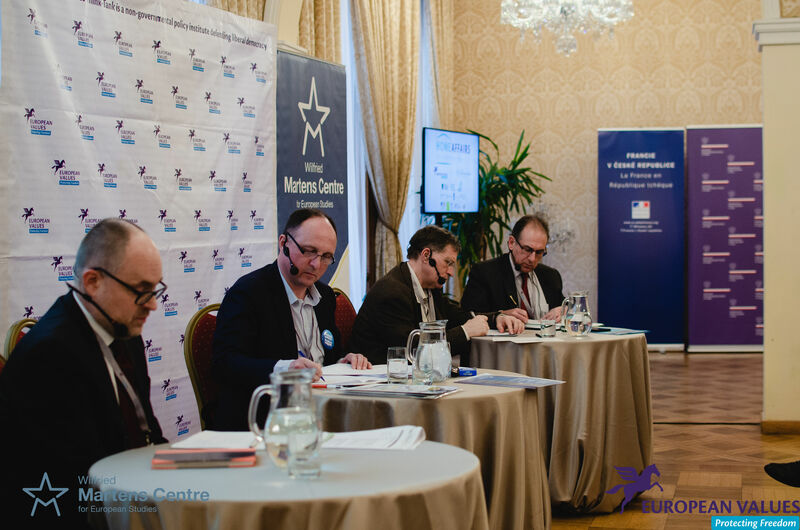 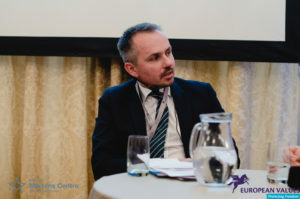 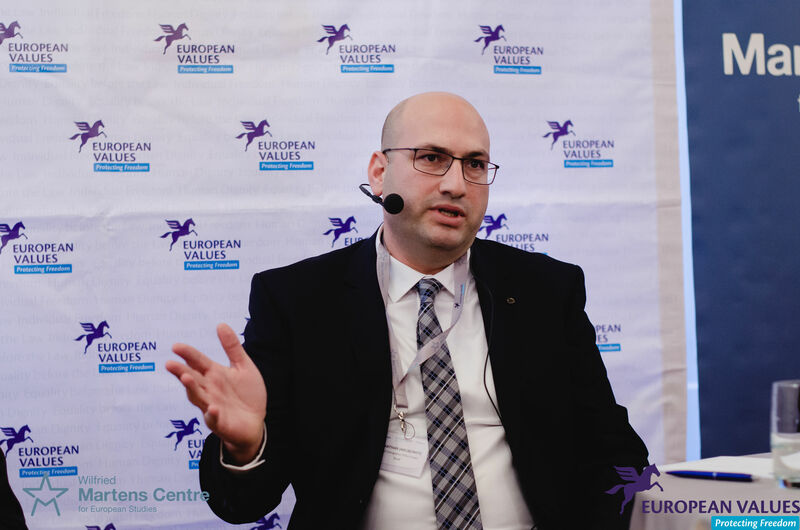 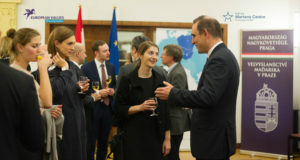 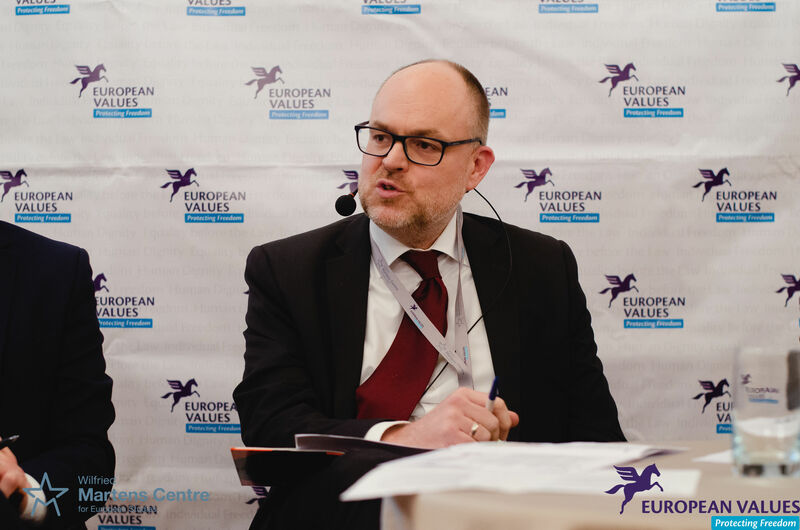 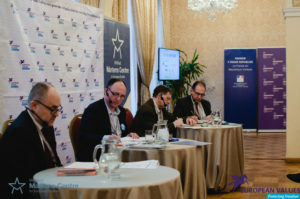 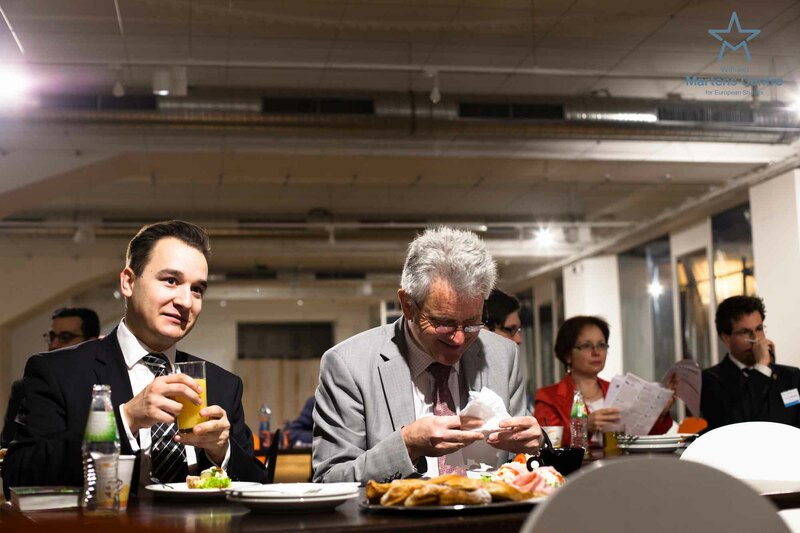 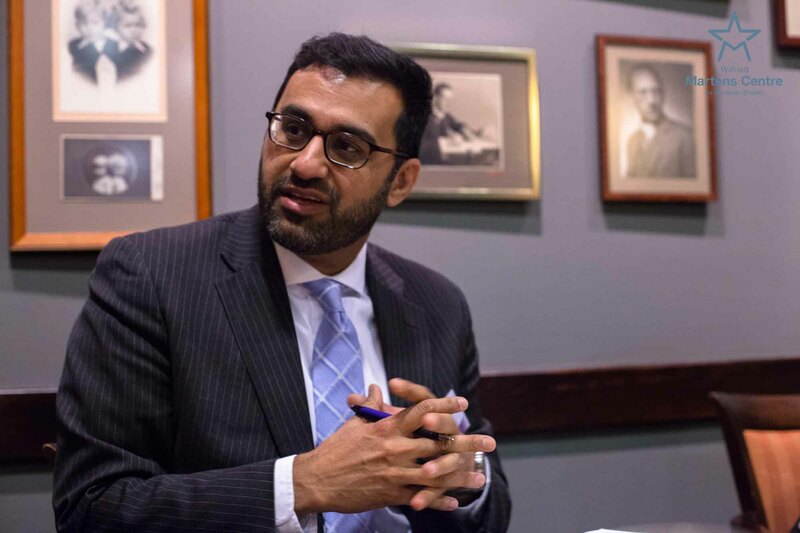 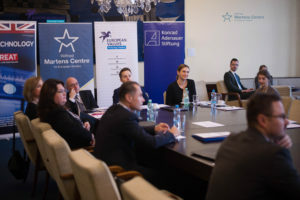 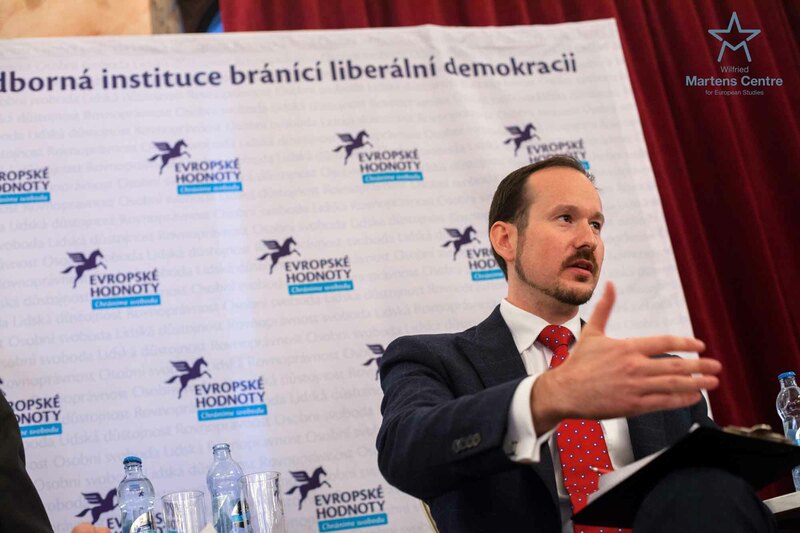 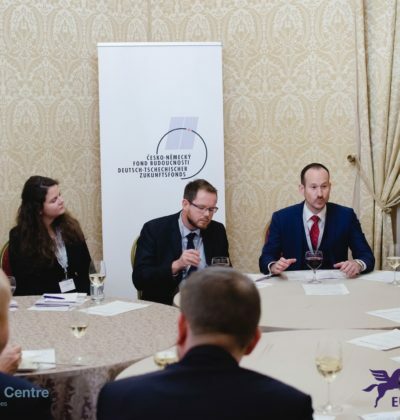 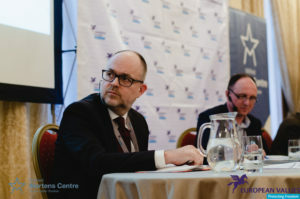 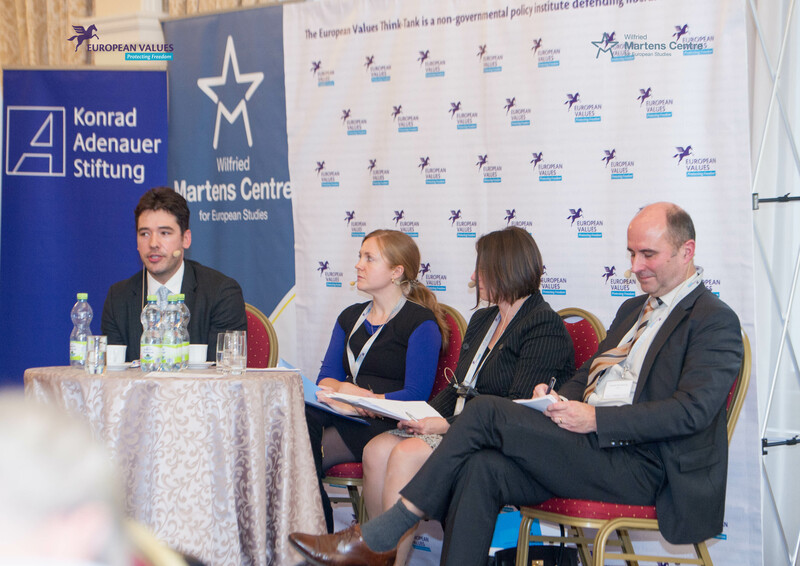 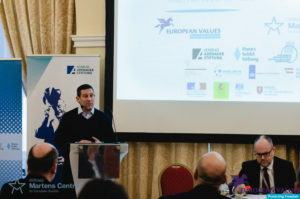 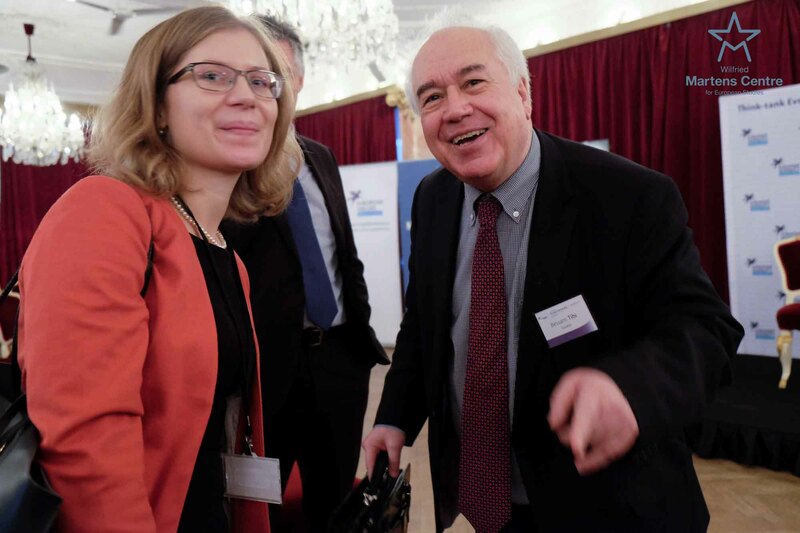 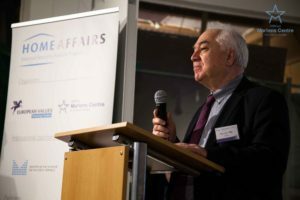 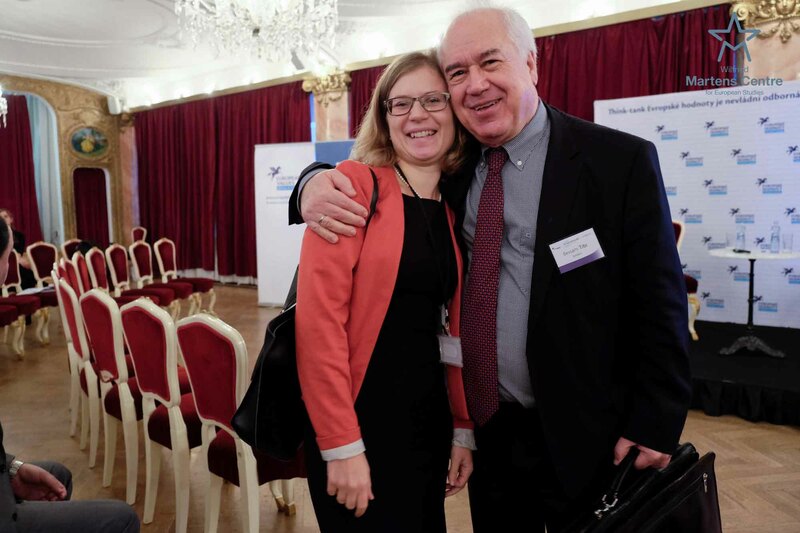 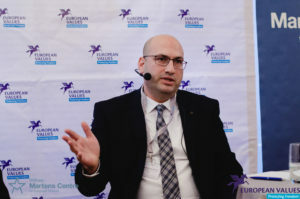 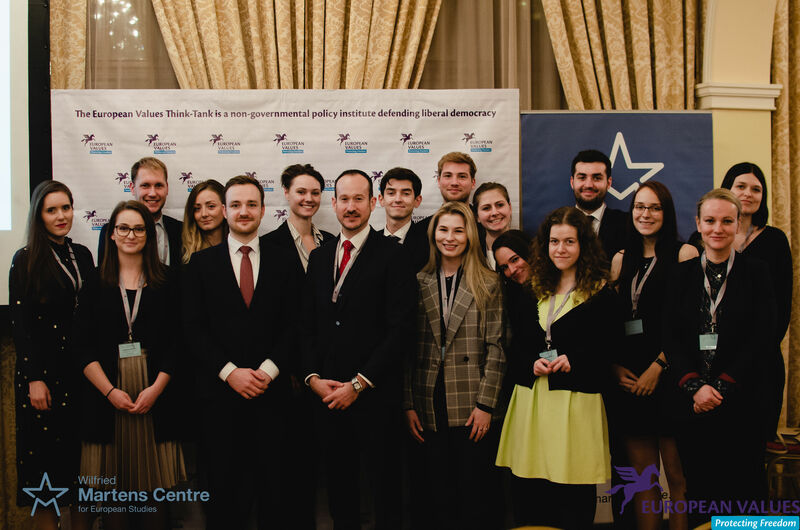 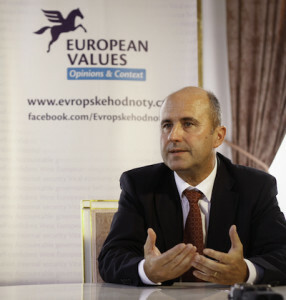 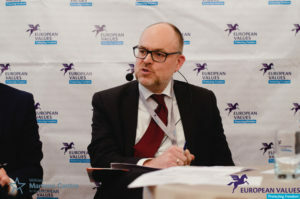 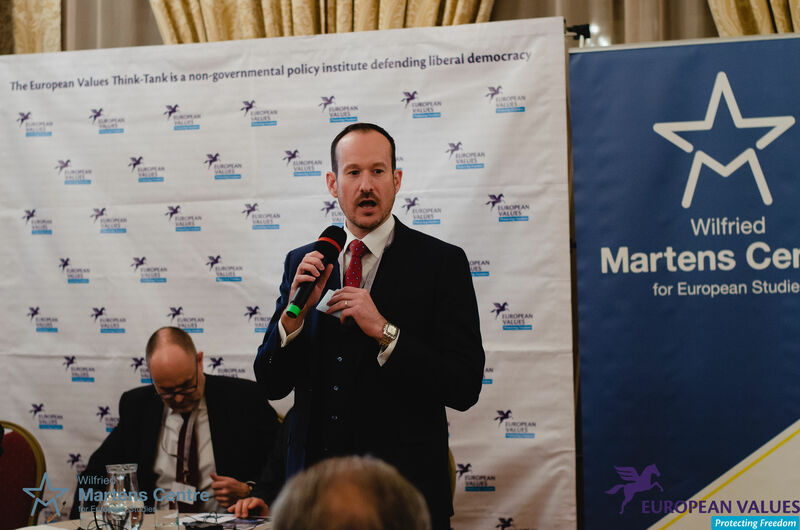 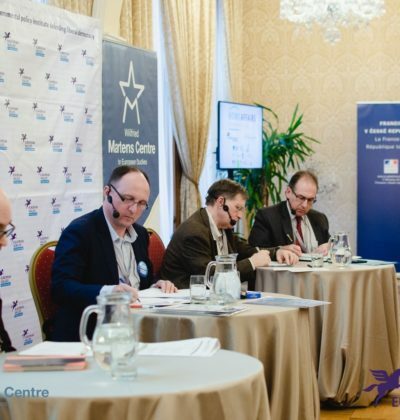 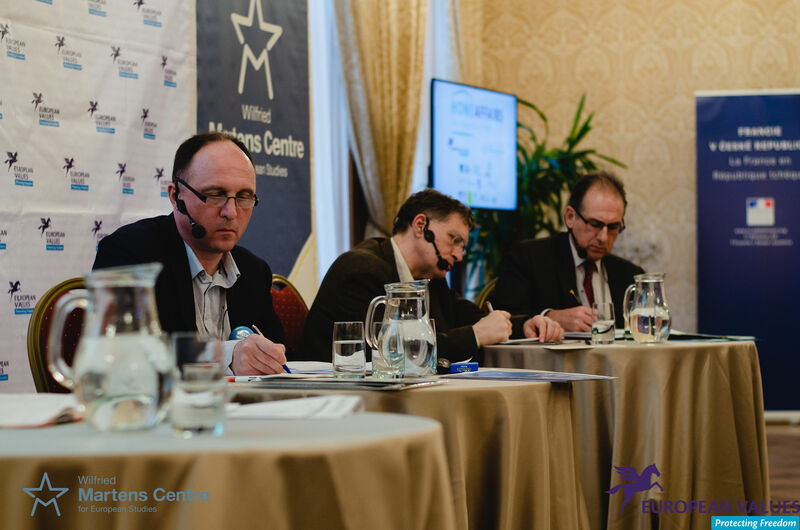 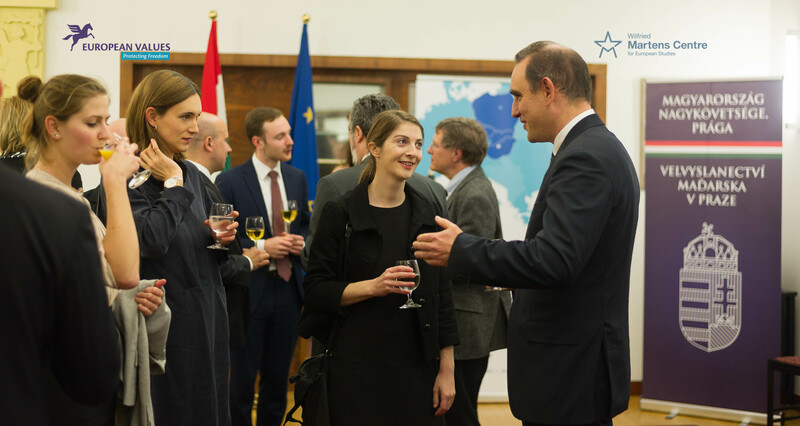 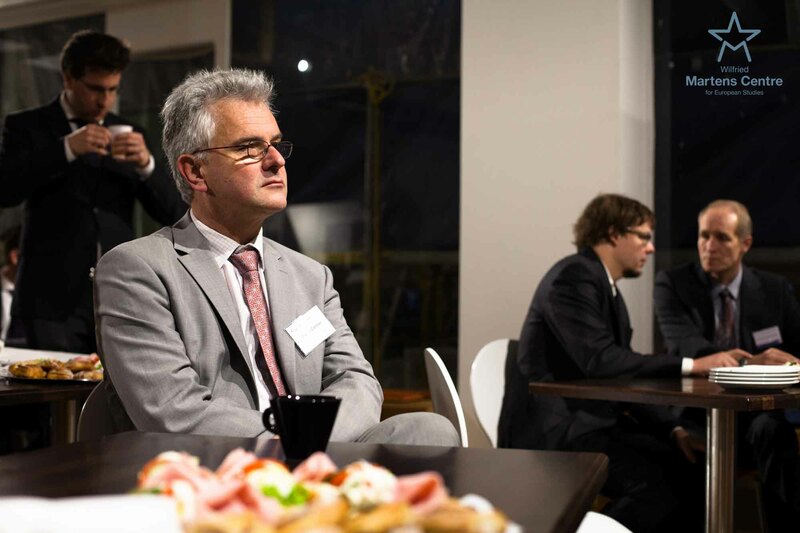 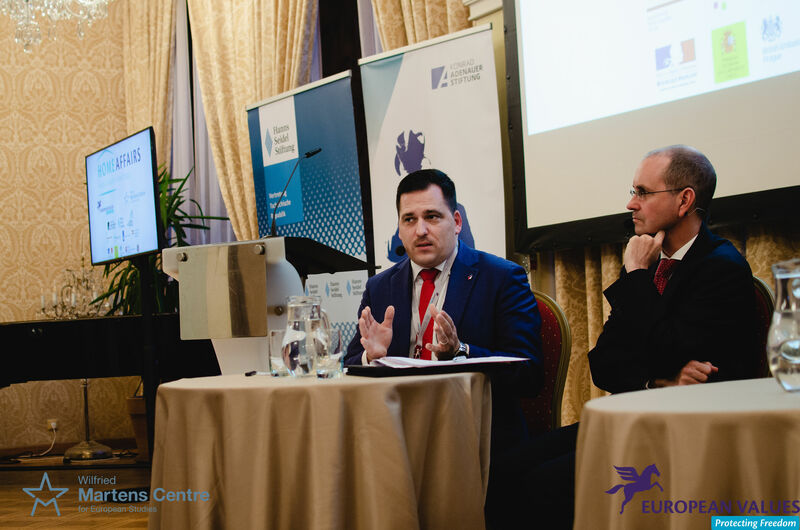 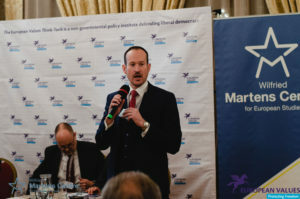 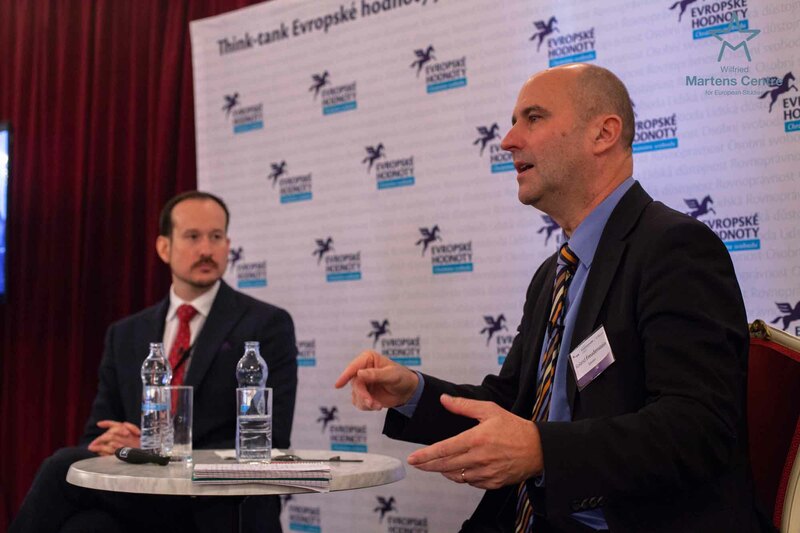 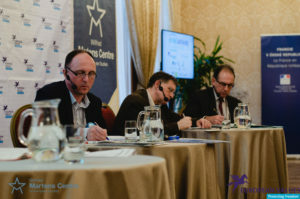 The Wilfried Martens Centre for European Studies is the political foundation at European level of the European People’s Party and an EU think tank.The Martens Centre takes part in the preparation of EPP programmes and policy documents. 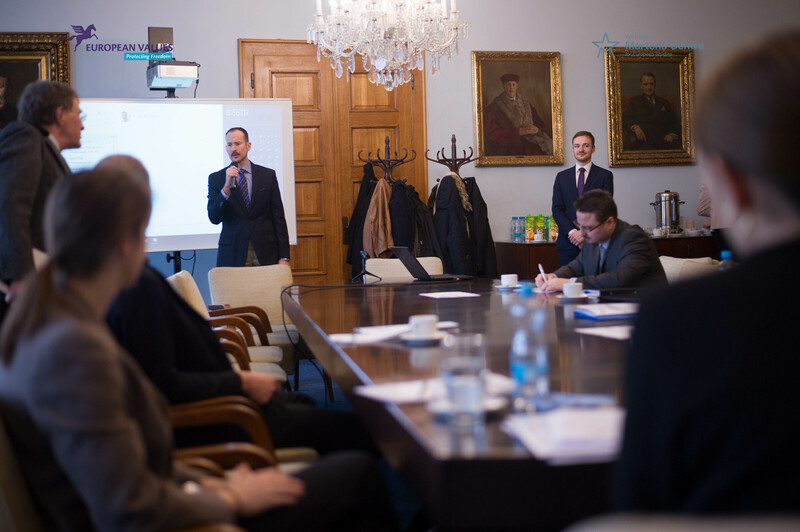 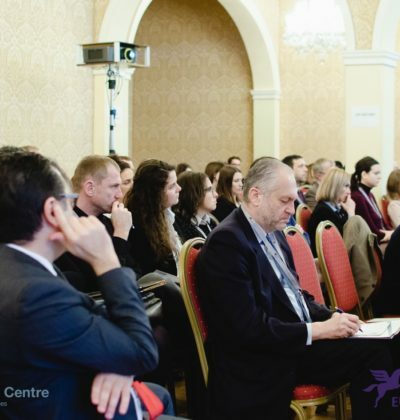 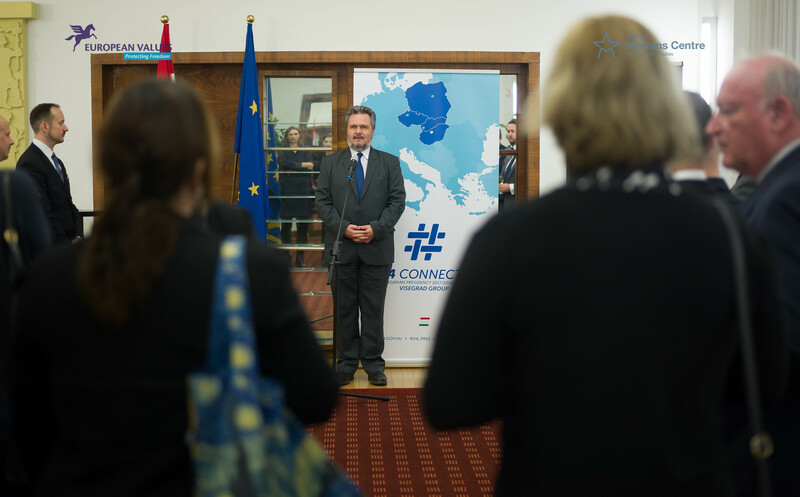 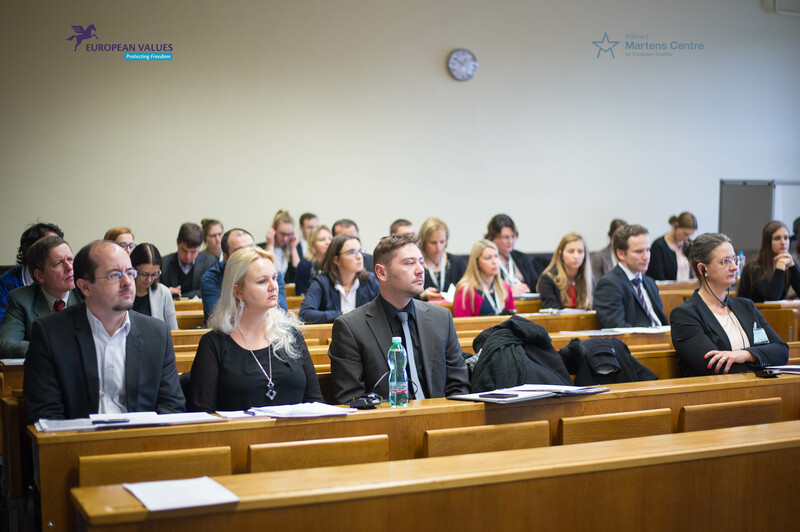 It organises seminars and training on EU policies and on the process of European integration. 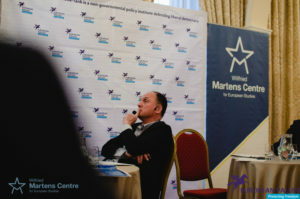 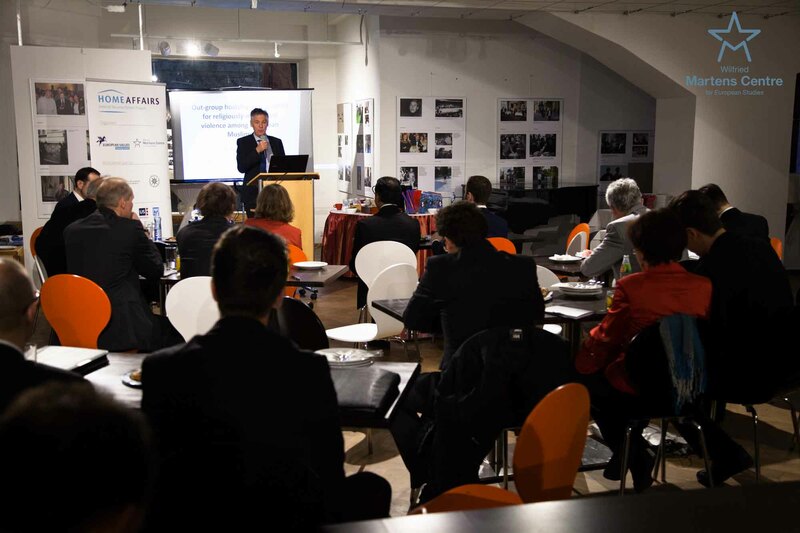 The Martens Centre also contributes to formulating EU and national public policies. It produces research studies and books, electronic newsletters, policy briefs, and the twice-yearly European View journal. 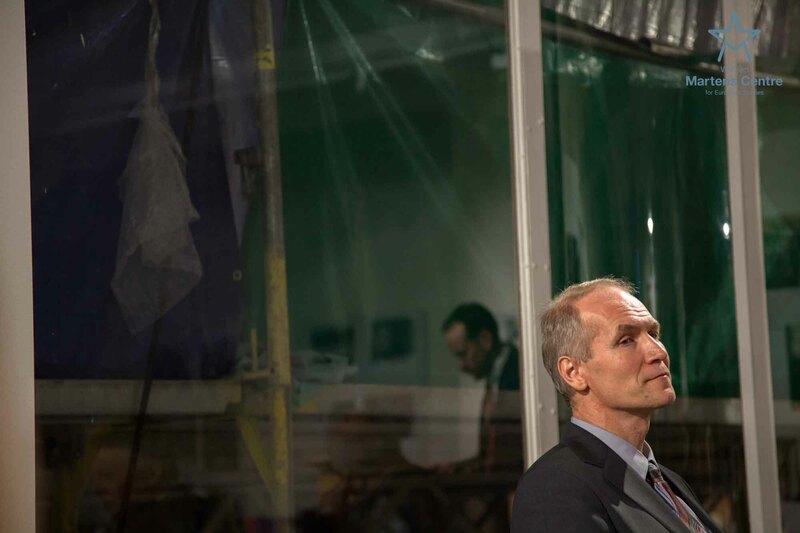 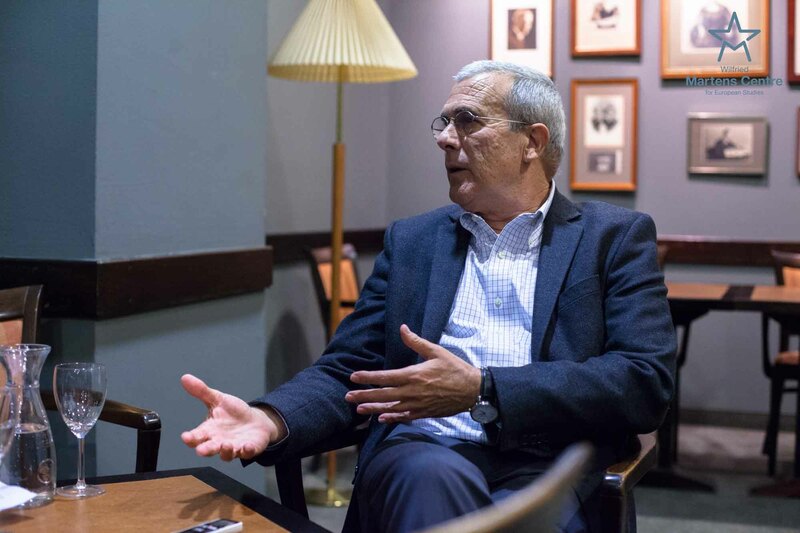 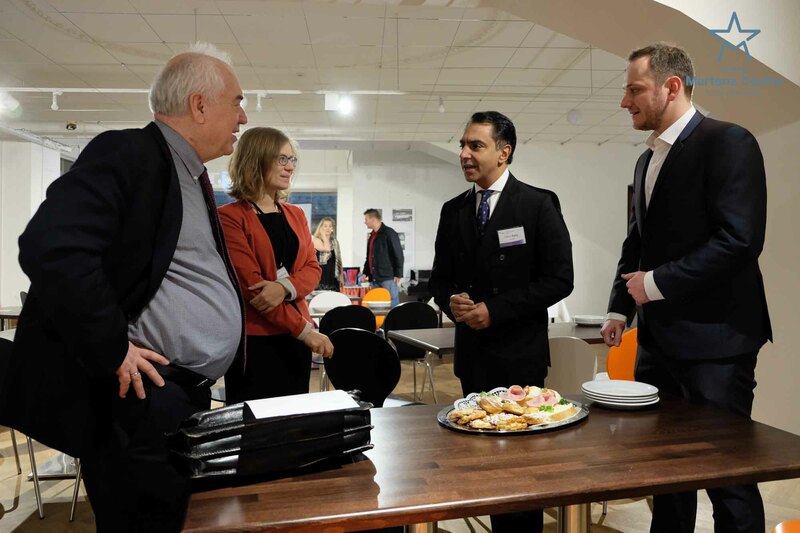 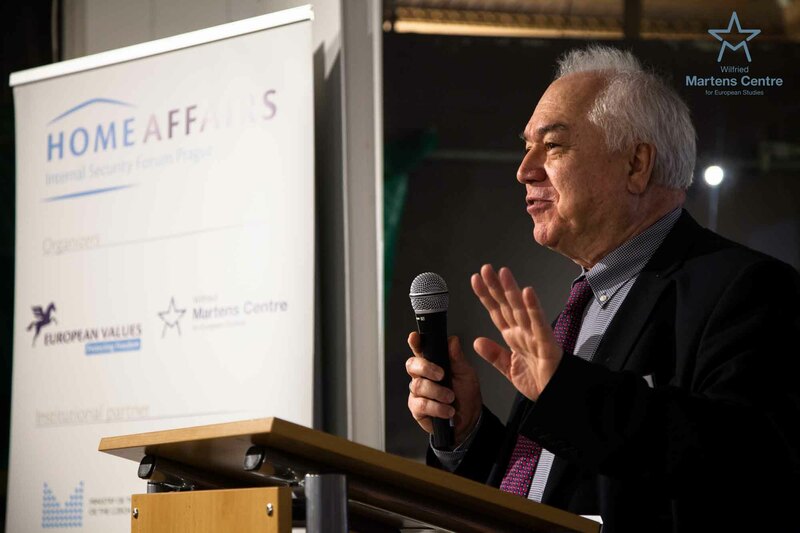 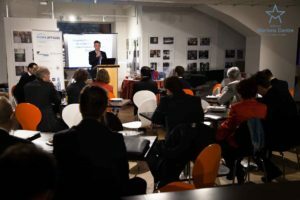 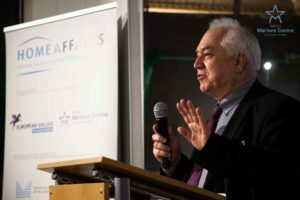 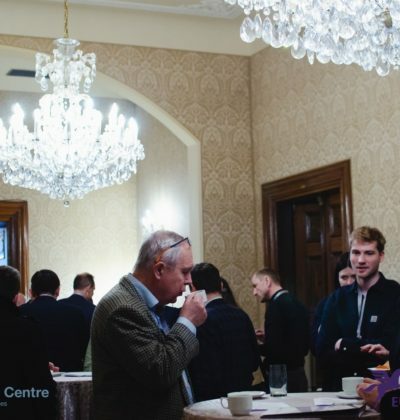 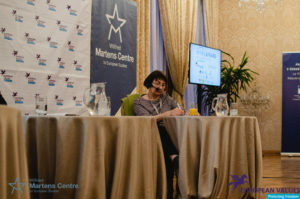 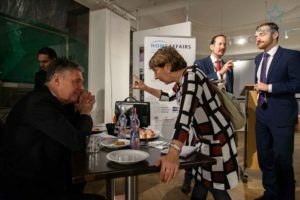 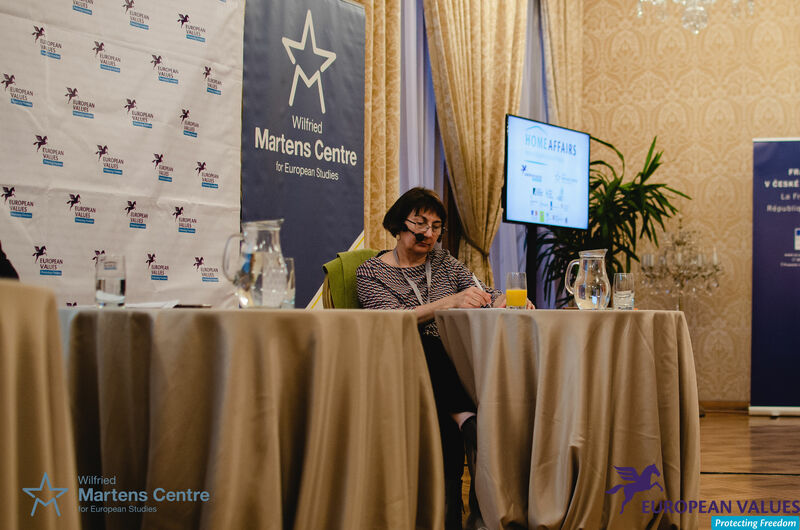 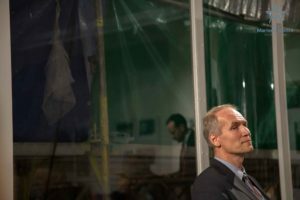 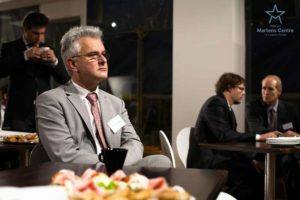 Through its papers, conferences, authors’ dinners and website, the Martens Centre offers a platform for discussion among experts, politicians, policymakers and the European public.